A. Bessam, T. Otmane-Cherif, M. GHANES, I. Koussaila. A passivity-based controller for coordination of converters in a fuel cell system used in hybrid electric vehicle propelled by two seven phase induction motor. In International Journal of Hydrogen Energy ; éd. Elsevier, 2018. A. Coutrot, R. Silva, E. Manley, W. de Cothi, S. Sami, V. Bohbot, J. Wiener, C. Hölscher, R. Dalton, M. Hornberger, H. Spiers. Global Determinants of Navigation Ability. In Current Biology - CB ; éd. Elsevier, 2018, vol. 28, num. 17. A. Dolgui, D. Ivanov, B. Sokolov. Ripple effect in the supply chain: an analysis and recent literature. In International Journal of Production Research ; éd. Taylor & Francis, 2018, vol. 56, num. 1-2. A. Dolgui, D. Ivanov, S. Sethi, B. Sokolov. Control Theory Applications to Operations Systems, Supply Chain Management and Industry 4.0 Networks. In IFAC-PapersOnLine ; éd. Elsevier, 2018, vol. 51, num. 11. A. Dolgui, N. Bakhtadze, V. Pyatetsky, R. Sabitov, G. Smirnova, D. Elpashev, E. Zakharov. Data Mining-Based Prediction of Manufacturing Situations. In IFAC-PapersOnLine ; éd. Elsevier, 2018, vol. 51, num. 11. A. Dolgui, S. Kovalev, M. Kovalyov, S. Malyutin, A. Soukhal. Optimal workforce assignment to operations of a paced assembly line. In European Journal of Operational Research ; éd. Elsevier, 2018, vol. 264, num. 1. A. Gerasimenko, M. Ritou, V. Godreau, B. Furet. Monitoring of trimming operation for lightweight composite structure. In Procedia CIRP ; éd. ELSEVIER, 2018, vol. 72. A. Klimchik, A. Pashkevich, D. Chablat. MSA-technique for stiffness modeling of manipulators with complex and hybrid structures. In IFAC-PapersOnLine ; éd. Elsevier, 2018, vol. 51, num. 22. A. Klimchik, A. Pashkevich. Robotic manipulators with double encoders: accuracy improvement based on advanced stiffness modeling and intelligent control. In IFAC-PapersOnLine ; éd. Elsevier, 2018, vol. 51, num. 11. A. Klimchik, A. Pashkevich. Stiffness modelling of serial under-constrained manipulators using matrix structural analysis. In IFAC-PapersOnLine ; éd. Elsevier, 2018, vol. 51, num. 11. A. Martin, S. Caro, P. Cardou. Design of a Cable-Driven Parallel Robot with Grasping Device. In Procedia CIRP ; éd. ELSEVIER, 2018, vol. 70. A. Moyon, E. Poirson, J. Petiot. Experimental study of the physical impact of a passive exoskeleton on manual sanding operations. In Procedia CIRP ; éd. ELSEVIER, 2018, vol. 70. A. Nayak, S. Caro, P. Wenger. Comparison of 3-[PP]S Parallel Manipulators based on their Singularity Free Orientation Workspace, Parasitic Motions and Complexity. In Mechanism and Machine Theory ; éd. Elsevier, 2018, vol. 129. A. Negash, S. Labouesse, P. Chaumet, K. Belkebir, H. Giovannini, M. Allain, J. Idier, A. Sentenac. Two-photon speckle illumination for super-resolution microscopy. In Journal of the Optical Society of America. A Optics, Image Science, and Vision ; éd. Optical Society of America, 2018, vol. 35, num. 6. A. Rakitzis, P. Castagliola, P. Maravelakis. Cumulative sum control charts for monitoring geometrically inflated Poisson processes: An application to infectious disease counts data. In Statistical Methods in Medical Research ; éd. SAGE Publications, 2018, vol. 27, num. 2. A. Saadi, M. Oussalah, a. henni. An Approach for Managing the Dynamic Reconfiguration of Software Architectures. In International Journal of Computational Science and Engineering ; éd. Inderscience, 2018, vol. 17, num. 2. A. hakim, A. Amirat, M. Oussalah. Non-Intrusive Contextual Dynamic Reconfiguration of Ambient Intelligent IoT Systems. In Journal of Ambient Intelligence and Humanized Computing ; éd. Springer, 2018, vol. vol 9. C. Guéret, F. Lehuédé, J. Mendoza, O. Péton, M. Sevaux. Introduction to the special issue on advances in vehicle routing and logistics optimization: heuristics. In EURO Journal on Transportation and Logistics ; éd. Springer, 2018, vol. 7, num. 2. C. Izaguirre-Espinosa, A. Muñoz-Vázquez, A. Sánchez-Orta, V. Parra-Vega, I. Fantoni. Fractional-order Control for Robust Position/Yaw Tracking of Quadrotors with Experiments. In IEEE Transactions on Control Systems Technology ; éd. Institute of Electrical and Electronics Engineers, 2018. C. RABREAU, J. Kekula, M. Ritou, M. Sulitka, J. Shim, S. Loch, B. Furet. Influence of bearing kinematics hypotheses on ball bearing heat generation. In Procedia CIRP ; éd. ELSEVIER, 2018, vol. 77. D. Andreev, S. Petrakieva, I. Taralova. A Novel Approach for Protection of Accounts' Names against Hackers Combining Cluster Analysis and Chaotic Theory. In Journal of Internet Technology and Secured Transactions (JITST) ; éd. Infonomics Society, 2018. D. Ivanov, S. Sethi, A. Dolgui, B. Sokolov. A survey on control theory applications to operational systems, supply chain management, and Industry 4.0. In Annual Reviews in Control ; éd. Elsevier, 2018, vol. 46. D. Mourtzis, E. Vlachou, V. Zogopoulos, R. Gupta, F. Belkadi, A. Debbache, A. Bernard. Customer feedback gathering and management tools for product-service system design. In Procedia CIRP ; éd. ELSEVIER, 2018, vol. 67. D. Tlalolini, M. Ritou, C. Rabréau, S. Le Loch, B. Furet. Modeling and characterization of an electromagnetic system for the estimation of Frequency Response Function of spindle. In Mechanical Systems and Signal Processing ; éd. Elsevier, 2018, vol. 104. E. Sanfilippo. Ontological foundations for feature-based modeling. In Procedia CIRP ; éd. ELSEVIER, 2018, vol. 70. F. Aldukali, Y. Shtessel, F. Plestan. Impulsive second-order sliding mode control in reduced information environment. In International Journal of Robust and Nonlinear Control ; éd. Wiley, 2018, vol. 28, num. 8. G. Daniel, G. Sunyé, J. Cabot. Advanced Prefetching and Caching of Models with PrefetchML. In Software & Systems Modeling ; éd. Springer Verlag, 2018. G. Wu, S. Bai, S. Caro. A Transmission Quality Index for a Class of Four-limb Parallel Schönflies Motion Generators. In Journal of Mechanisms and Robotics ; éd. American Society of Mechanical Engineers, 2018, vol. 10, num. 5. J. Béchennec, M. Brun, S. Faucou, L. Givel, O. Roux. Testing real-time systems with runtime enforcement. In IEEE Design & Test ; éd. IEEE, 2018. J. Medina, M. Hewitt, F. Lehuédé, O. Péton. Integrating long-haul and local transportation planning: the Service Network Design and Routing Problem. In EURO Journal on Transportation and Logistics ; éd. Springer, 2018. K. Kessi, M. Oussalah, Z. Alimazighi. An approach oriented viewpoints for cooperative information system eliciting requirements. In International Journal of Intelligent Information and Database Systems ; éd. Inderscience, 2018, vol. vol 11. K. Schemeleva, X. Delorme, A. Dolgui. Evaluation of solution approaches for a stochastic lot-sizing and sequencing problem. In International Journal of Production Economics ; éd. Elsevier, 2018, vol. 199. L. Qu, M. KHOO, P. Castagliola, Z. He. Exponential cumulative sums chart for detecting shifts in time-between-events. In International Journal of Production Research ; éd. Taylor & Francis, 2018, vol. 56, num. 10. M. Bazm, M. Lacoste, M. Südholt, J. Menaud. Isolation in Cloud Computing Infrastructures: New Security Challenges. In Annals of Telecommunications - annales des télécommunications ; éd. Springer, 2018. M. Bentaha, A. Dolgui, O. Battaïa, R. Riggs, J. Hu. Profit-oriented partial disassembly line design: dealing with hazardous parts and task processing times uncertainty. In International Journal of Production Research ; éd. Taylor & Francis, 2018, vol. 56, num. 24. M. Gherari, A. Amirat, M. Oussalah, L. Ridda. MC-Sim: a mobile cloud simulation toolkit based on CloudSim. In International Journal of Computer Applications in Technology ; éd. Inderscience, 2018. M. Maleki, A. Amiri, A. Taheriyoun, P. Castagliola. Phase I monitoring and change point estimation of autocorrelated poisson regression profiles. In Communications in Statistics - Theory and Methods ; éd. Taylor & Francis, 2018, vol. 47, num. 24. N. Gasmallah, M. Oussalah, A. Amirat. Developing an Evolution Software Architecture Framework Based on Six Dimensions. In International Journal of Simulation and Process Modelling ; éd. Inderscience, 2018, vol. vol 13, num. 6. O. Kermorgant. A magnetic climbing robot to perform autonomous welding in the shipbuilding industry. In Robotics and Computer-Integrated Manufacturing ; éd. Elsevier, 2018. P. Djondiné, J. Barbot, M. Ghanes. Stability study and dynamical analysis of the multicellular chopper. In International Journal of Simulation and Process Modelling ; éd. Inderscience, 2018, vol. 13, num. 5. P. Long, C. Chevallereau, D. Chablat, A. Girin. An industrial security system for human-robot coexistence. In Industrial Robot: An International Journal ; éd. Emerald, 2018, vol. 45, num. 2. R. Jha, D. Chablat, L. Baron. Influence of Design Parameters on the Singularities and Workspace of a 3-RPS Parallel Robot. In Transactions of the Canadian Society for Mechanical Engineering ; éd. Canadian Society for Mechanical Engineering, 2018. S. Lessanibahri, P. Cardou, S. Caro. Parasitic Inclinations in Cable-Driven Parallel Robots using Cable Loops. In Procedia CIRP ; éd. ELSEVIER, 2018, vol. 70. S. Saha, M. Khoo, M. Lee, P. Castagliola. A side-sensitive modified group runs double sampling (SSMGRDS) control chart for detecting mean shifts. In Communications in Statistics - Simulation and Computation ; éd. Taylor & Francis, 2018, vol. 47, num. 5. V. Bondarenko, S. Petrakieva, I. Taralova, D. Andreev. Forecasting Time Series for Power Consumption Data in Different Buildings Using the Fractional Brownian Motion. In International Journal of Circuits, Systems and Signal Processing ; éd. North Atlantic University Union, 2018. V. Gibert, F. Plestan, L. Burlion, J. Boada, A. Chriette. Visual estimation of deviations for the civil aircraft landing. In Control Engineering Practice ; éd. Elsevier, 2018, vol. 75. V. Léchappé, E. Moulay, F. Plestan. Prediction-based control for LTI systems with uncertain time-varying delays and partial state knowledge. In International Journal of Control ; éd. Taylor & Francis, 2018, vol. 91, num. 6. V. Léchappé, E. Moulay, F. Plestan. Prediction-based control of LTI systems with input and output time-varying delays. In Systems and Control Letters ; éd. Elsevier, 2018, vol. 112. V. Léchappé, J. De Leon, E. Moulay, F. Plestan, A. Glumineau. Delay and state observation for SISO nonlinear systems with input delay. In International Journal of Robust and Nonlinear Control ; éd. Wiley, 2018, vol. 28, num. 6. W. Yeong, S. Lim, M. Khoo, P. Castagliola. Monitoring the coefficient of variation using a variable parameters chart. In Quality Engineering ; éd. Taylor & Francis, 2018, vol. 30, num. 2. Y. Briheche, F. Barbaresco, F. Bennis, D. Chablat. Optimization of Radar Search Patterns in Localized Clutter and Terrain Masking under Direction-Specific Scan Update Rates Constraints. In IET Radar Sonar and Navigation ; éd. Institution of Engineering and Technology, 2018. Y. Yuan, G. Cheung, P. Callet, P. Frossard, H. Zhao. Object Shape Approximation & Contour Adaptive Depth Image Coding for Virtual View Synthesis. In IEEE Transactions on Circuits and Systems for Video Technology ; éd. Institute of Electrical and Electronics Engineers, 2018. Y. Zhang, A. Bernard. A KBE CAPP framework for qualified additive manufacturing. In CIRP Annals - Manufacturing Technology ; éd. Elsevier, 2018, vol. 67, num. 1. Z. CHENG, M. Tisi. Slicing ATL Model Transformations for Scalable Deductive Verification and Fault Localization. In International Journal on Software Tools for Technology Transfer ; éd. Springer Verlag, 2018, vol. 20, num. 6. Z. Yahouni, N. Mebarki, F. Belkadi, A. Shahzad, A. Bernard. Human-machine cooperation in planning and scheduling: a case study on an unstable environment. In European Journal of Industrial Engineering ; éd. Inderscience, 2018, vol. 12, num. 6. Z. Yahouni, N. Mebarki, Z. Sari. Evaluation of a new decision-aid parameter for job shop scheduling under uncertainties. In RAIRO - Operations Research ; éd. EDP Sciences, 2018. Z. Yahouni, N. Mebarki, Z. Sari. Tardiness minimization heuristic for job shop scheduling under uncertainties using group sequences. In International Journal of Intelligent Engineering Informatics ; éd. Inderscience Publishers, 2018.
 s. devie, P. Robet, Y. Aoustin, M. Gautier. Estimation of the External Force for a Co-Manipulation Task Using the Drive Chain Robot. In International Journal of Mechanical and Mechatronics Engineering ; éd. World Academy of Science, Engineering and Technology, 2018, vol. 12, num. 10. �. Kotta, C. Moog, M. Tõnso. Remarks on realization of time-varying systems. In Proceedings of the Estonian Academy of Sciences ; éd. Estonian Academy Publishers, 2018, vol. 67, num. 3. �. Miquey. A Classical Sequent Calculus with Dependent Types. In ACM Transactions on Programming Languages and Systems (TOPLAS) ; éd. ACM, 2018. A. Mostefaoui, H. Moumen, M. Raynal. Randomized k -set agreement in crash-prone and Byzantine asynchronous systems. In Theoretical Computer Science ; éd. Elsevier, 2018, vol. 709. C. Mehl, J. Idier, B. Fiorina. Evaluation of deconvolution modelling applied to numerical combustion. In Combustion Theory and Modelling ; éd. Taylor & Francis, 2018, vol. 22, num. 1. E. Arafailova, N. Beldiceanu, H. Simonis. Deriving generic bounds for time-series constraints based on regular expressions characteristics. In Constraints ; éd. Springer Verlag, 2018, vol. 23, num. 1. J. Idier, S. Labouesse, M. Allain, P. Liu, S. Bourguignon, A. Sentenac. On the super-resolution capacity of imagers using unknown speckle illuminations. In IEEE Transactions on Computational Imaging ; éd. IEEE, 2018, vol. 4, num. 1. R. Bourcier, S. Le Scouarnec, S. Bonnaud, M. Karakachoff, E. Bourcereau, S. Heurtebise-Chrétien, C. Menguy, C. Dina, F. Simonet, A. Moles, C. Lenoble, P. Lindenbaum, S. Chatel, B. Isidor, E. Génin, J. Deleuze, J. Schott, H. Le Marec, G. Loirand, H. Desal, R. Redon, B. Daumas-Duport, J. Connault, P. Lebranchu, T. Le Tourneau, P. Viarouge, C. Papagiannaki, M. Piotin, H. Redjem, M. Mazighi, J. Desilles, O. Naggara, D. Trystram, M. Edjlali-Goujon, C. Rodriguez, W. Ben Hassen, S. Saleme, C. Mounayer, O. Levrier, P. Aguettaz, X. Combaz, A. Pasco, E. Berthier, M. Bintner, M. Molho, P. Gauthier, C. Chivot, V. Costalat, C. Darganzil, A. Bonafé, A. Januel, C. Michelozzi, C. Cognard, F. Bonneville, P. Tall, J. Darcourt, A. Biondi, C. Iosif, E. Pomero, J. Ferre, J. Gauvrit, F. Eugène, H. Raoult, J. Gentric, J. OGNARD, R. Anxionnat, S. Bracard, A. Derelle, R. Tonnelet, L. Spelle, L. Ikka, R. Fahed, A. Rouchaud, A. Ozanne, J. Caroff, N. Ben Achour, J. Moret, E. CHABERT, J. Berge, G. Marnat, X. Barreau, F. Gariel, F. Clarençon, M. Aggour, F. Ricolfi, A. Chavent, P. Thouant, P. Lebidinsky, B. Lemogne, D. Herbreteau, R. Bibi, L. Pierot, S. Soize, M. Labeyrie, C. Vandendries, E. Houdart, A. Kazemi, X. Leclerc, J. Pruvo, S. Gallas, S. Velasco. Rare Coding Variants in ANGPTL6 Are Associated with Familial Forms of Intracranial Aneurysm. In American Journal of Human Genetics ; éd. Elsevier (Cell Press), 2018, vol. 102, num. 1. R. Gupta, F. Belkadi, C. Buergy, F. Bitte, C. Da Cunha, J. Buergin, G. Lanza, A. Bernard. Gathering, evaluating and managing customer feedback during aircraft production. In Computers and Industrial Engineering ; éd. Elsevier, 2018, vol. 115. T. MohammadRidha, M. Aït-Ahmed, L. Chaillous, M. Krempf, I. Guilhem, J. Poirier, C. Moog. Model Free iPID Control for Glycemia Regulation of Type-1 Diabetes. In IEEE Transactions on Biomedical Engineering ; éd. Institute of Electrical and Electronics Engineers, 2018, vol. 65, num. 1. D. SIX, S. Briot, A. Chriette, P. Martinet. The Kinematics, Dynamics and Control of a Flying Parallel Robot with Three Quadrotors. In IEEE Robotics and Automation Letters ; éd. IEEE, 2018, vol. 3, num. 1. M. Kermadi, S. Moussaoui, A. Taieb Brahimi, M. Feliachi. Defect localization and characterization in Eddy current nondestructive testing by change detection and global optimization. In COMPEL: The International Journal for Computation and Mathematics in Electrical and Electronic Engineering ; éd. Emerald, 2018, vol. 37, num. 2. C. Le Jeune, F. Chebli, L. Leon, E. Anthoine, M. Weber, A. Péchereau, P. Lebranchu. Reliability and reproducibility of disc-foveal angle measurements by non-mydriatic fundus photography. In PLoS ONE ; éd. Public Library of Science, 2018, vol. 13, num. 1. J. Li, J. Wang, M. Barkowsky, P. Le Callet. Exploring the effects of subjective methodology on assessing visual discomfort in immersive multimedia. In Journal of Electronic Imaging ; éd. SPIE and IS&T, 2018, vol. 2018, num. 14. P. Le Callet, E. David, M. Perreira Da Silva, P. Lebranchu. How are ocular behaviours affected by central and peripheral vision loss? A study based on artificial scotomas and gaze-contingent paradigm.. In Journal of Electronic Imaging ; éd. SPIE and IS&T, 2018, vol. 2018, num. 14. S. Ling, P. Le Callet, Z. Yu. The Role of Structure and Textural Information in Image Utility and Quality Assessment Tasks. In Journal of Electronic Imaging ; éd. SPIE and IS&T, 2018, vol. 2018, num. 14. A. Dolgui, M. Tiwari, Y. Sinjana, S. Kumar, Y. Son. Optimising integrated inventory policy for perishable items in a multi-stage supply chain. In International Journal of Production Research ; éd. Taylor & Francis, 2018, vol. 56, num. 1-2. A. Dolgui. Leading scholars in Production Research for the 55th volume anniversary of IJPR. In International Journal of Production Research ; éd. Taylor & Francis, 2018, vol. 56, num. 1-2. A. Mesaros, T. Heittola, E. Benetos, P. Foster, M. Lagrange, T. Virtanen, M. Plumbley. Detection and Classification of Acoustic Scenes and Events: Outcome of the DCASE 2016 Challenge. In IEEE/ACM Transactions on Audio, Speech and Language Processing ; éd. Institute of Electrical and Electronics Engineers, 2018, vol. 26, num. 2. C. Chevallereau, H. Razavi, D. Six, Y. Aoustin, J. Grizzle. Self-synchronization and Self-stabilization of 3D Bipedal Walking Gaits. In Robotics and Autonomous Systems ; éd. Elsevier, 2018, vol. 100. D. Prot, O. Bellenguez-Morineau. A survey on how the structure of precedence constraints may change the complexity class of scheduling problems. In Journal of Scheduling ; éd. Springer Verlag, 2018, vol. 21, num. 1. G. Bernot, J. Comet, Z. Khalis, A. Richard, O. Roux. A genetically modified Hoare logic. In Theoretical Computer Science ; éd. Elsevier, 2018. J. Gao, A. Bernard. An overview of knowledge sharing in new product development. In International Journal of Advanced Manufacturing Technology ; éd. Springer Verlag, 2018, vol. 94, num. 5-8. M. Ammar, M. Mitrea, M. Hasnaoui, P. Le Callet. MPEG-4 AVC stream-based saliency detection: application to robust watermarking. In Signal Processing: Image Communication ; éd. Elsevier, 2018, vol. 60. Y. Bian, D. Lemoine, T. Yeung, N. Bostel, V. Hovelaque, J. Viviani, F. Gayraud. A dynamic lot-sizing-based profit maximization discounted cash flow model considering working capital requirement financing cost with infinite production capacity. In International Journal of Production Economics ; éd. Elsevier, 2018, vol. 196. S. Briot, A. Goldsztejn. Topology Optimization of Industrial Robots: Application to a Five-bar Mechanism. In Mechanism and Machine Theory ; éd. Elsevier, 2018, vol. 120. L. Tao, D. Wu, S. Liu, A. Dolgui. Optimal due date quoting for a risk-averse decision-maker under CVaR. In International Journal of Production Research ; éd. Taylor & Francis, 2018, vol. 56, num. 5. M. Tomić, K. Jovanović, C. Chevallereau, V. Potkonjak, A. Rodić. Toward optimal mapping of human dual-arm motion to humanoid motion for tasks involving contact with the environment. In International Journal of Advanced Robotic Systems ; éd. InTech, 2018, vol. 15, num. 1.
 s. devie, P. Robet, Y. Aoustin, M. Gautier. Impedance control using a cascaded loop force control. In IEEE Robotics and Automation Letters ; éd. IEEE, 2018. O. Ben-Ammar, A. Dolgui. Optimal order release dates for two-level assembly systems with stochastic lead times at each level. In International Journal of Production Research ; éd. Taylor & Francis, 2018, vol. 56, num. 12. K. Tran, P. Castagliola, G. Celano. Monitoring the ratio of population means of a bivariate normal distribution using CUSUM type control charts. In Statistical Papers ; éd. Springer Verlag, 2018, vol. 59, num. 1. T. Nguyen, P. Chevrel, F. Claveau. Gain-scheduled static output feedback control for saturated LPV systems with bounded parameter variations. In Automatica ; éd. Elsevier, 2018, vol. 89. P. Dagand, N. Tabareau, �. Tanter. Foundations of Dependent Interoperability. In Journal of Functional Programming ; éd. Cambridge University Press (CUP), 2018, vol. 28. B. Nagy, R. Strand, N. Normand. Distance Functions Based on Multiple Types of Weighted Steps Combined with Neighborhood Sequences. In Journal of Mathematical Imaging and Vision ; éd. Springer Verlag, 2018. F. Belkadi, E. Vlachou, R. Kumar-Gupta, V. Zogopoulos, M. Kaya, A. Bernard, D. Mourtzis, S. Natalizio, B. Büyükdığan, I. Tekin Bayrak. Modularity as a support for frugal product and supplier network co-definition under regional market constraints: a mirroring hypothesis application. In International Journal of Production Research ; éd. Taylor & Francis, 2018, vol. 56, num. 20. P. Teissier, M. Quantin, B. Hervy. Humanités numériques et archives orales : cartographies d’une mémoire collective sur les matériaux. In Cahiers François Viète ; éd. Centre François Viète, Université de Nantes, 2018, vol. III, num. 4. O. Yildiz, A. Zhou, S. Ibrahim. Improving the Effectiveness of Burst Buffers for Big Data Processing in HPC Systems with Eley. In Future Generation Computer Systems ; éd. Elsevier, 2018, vol. 86. A. Boudelier, M. Ritou, S. Garnier, B. Furet. Cutting force model for machining of CFRP laminate with diamond abrasive cutter. In Production Engineering ; éd. Penton Publishing, 2018, vol. 12, num. 2. C. Fauvel, F. Claveau, P. Chevrel, P. Fiani. A flexible design methodology to solve energy management problems. In International Journal of Electrical Power and Energy Systems ; éd. Elsevier, 2018, vol. 97. I. Bennis, H. Fouchal, K. Piamrat, M. Ayaida. Efficient queuing scheme through cross-layer approach for multimedia transmission over WSNs. In Computer Networks ; éd. Elsevier, 2018, vol. 134. K. Tran, P. Castagliola, G. Celano, M. Khoo. Monitoring compositional data using multivariate exponentially weighted moving average scheme. In Quality and Reliability Engineering International ; éd. Wiley, 2018, vol. 34, num. 3. M. Ritou, C. Rabréau, S. Le Loch, B. Furet, D. Dumur. Influence of spindle condition on the dynamic behavior. In CIRP Annals - Manufacturing Technology ; éd. Elsevier, 2018. A. Hassan, M. Oussalah. Evolution Styles: Multi-View/Multi-Level Model for Software Architecture Evolution,. In Journal of Software (JSW) ; éd. Academy Publisher, 2018, vol. vol. 13, no. 3, pp. 146-154, 2018..
 A. Benelallam, A. Gómez, M. Tisi, J. Cabot. Distributing Relational Model Transformation on MapReduce. In Journal of Systems and Software ; éd. Elsevier, 2018, vol. 142. F. Renda, F. Giorgio-Serchi, F. Boyer, C. Laschi, J. Dias, L. Seneviratne. A unified multi-soft-body dynamic model for underwater soft robots. In International Journal of Robotics Research ; éd. SAGE Publications, 2018, vol. 37, num. 6. E. MALEKI, F. Belkadi, N. Boli, B. van der Zwaag, K. Alexopoulos, S. Koukas, M. Marin-Perianu, A. Bernard, D. Mourtzis. Ontology-based framework enabling smart Product-Service Systems: Application of sensing systems for machine health monitoring. In IEEE internet of things journal ; éd. IEEE, 2018, vol. Vol. 5, num. Issue 6. A. Lepore, B. Palumbo, P. Castagliola. A Note on Decision Making Method for Product Acceptance Based on Process Capability Indices Cpk and Cpmk. In European Journal of Operational Research ; éd. Elsevier, 2018, vol. 267, num. 1. B. Nédelec, J. Tanke, P. Molli, A. Mostefaoui, D. Frey. An Adaptive Peer-Sampling Protocol for Building Networks of Browsers. In World Wide Web ; éd. Springer Verlag, 2018, vol. 21, num. 3. D. Ivanov, A. Pavlov, A. Dolgui, B. Sokolov. Hybrid fuzzy-probabilistic approach to supply chain resilience assessment. In IEEE Transactions on Engineering Management ; éd. Institute of Electrical and Electronics Engineers, 2018, vol. 65, num. 2. P. Launeau, M. Giraud, A. Ba, S. Moussaoui, M. Robin, F. Debaine, D. Lague, E. Le Menn. Full-Waveform LiDAR Pixel Analysis for Low-Growing Vegetation Mapping of Coastal Foredunes in Western France. In Remote Sensing ; éd. MDPI, 2018, vol. 10, num. 5. Z. Guiras, S. TURKI, N. Rezg, A. Dolgui. Optimization of Two-Level Disassembly/Remanufacturing/Assembly System with an Integrated Maintenance Strategy. In Applied Sciences ; éd. MDPI, 2018, vol. 8, num. 5. B. Sokolov, A. Dolgui, D. Ivanov. Optimal Control Algorithms and Their Analysis for Short-Term Scheduling in Manufacturing Systems. In Algorithms ; éd. MDPI, 2018, vol. 11. J. Garza-Venegas, G. Tercero-Gómez, L. Lee Ho, P. Castagliola, G. Celano. Effect of autocorrelation estimators on the performance of the X̄ control chart. In Journal of Statistical Computation and Simulation ; éd. Taylor & Francis, 2018, vol. 88, num. 13. C. Huneau, M. Houot, A. Joutel, B. Béranger, C. Giroux, H. Benali, H. Chabriat. Altered dynamics of neurovascular coupling in CADASIL. In Annals of Clinical and Translational Neurology ; éd. Wiley, 2018. D. Ivanov, A. Dolgui, B. Sokolov. Scheduling of recovery actions in the supply chain with resilience analysis considerations. In International Journal of Production Research ; éd. Taylor & Francis, 2018, vol. 56, num. 19. L. Qu, S. He, M. Khoo, P. Castagliola. A CUSUM chart for detecting the intensity ratio of negative events. In International Journal of Production Research ; éd. Taylor & Francis, 2018, vol. 56, num. 19. A. Dolgui, V. Kotov, A. Nekrashevich, A. Quilliot. General parametric scheme for the online uniform machine scheduling problem with two different speeds. In Information Processing Letters ; éd. Elsevier, 2018, vol. 134. A. Tang, P. Castagliola, J. Sun, X. Hu. The effect of measurement errors on the adaptive EWMA Xbar chart. In Quality and Reliability Engineering International ; éd. Wiley, 2018, vol. 34, num. 4. F. Battisti, M. Carli, P. Le Callet, P. Paudyal. Toward the Assessment of Quality of Experience for Asymmetric Encoding in Immersive Media. In IEEE Transactions on Broadcasting ; éd. Institute of Electrical and Electronics Engineers, 2018, vol. 64, num. 2. G. Collewet, S. Moussaoui, C. Deligny, T. Lucas, J. Idier. Multi-tissue partial volume quantification in multi-contrast MRI using an optimised spectral unmixing approach. In Magnetic Resonance Imaging ; éd. Elsevier, 2018, vol. 49. J. Fiadeiro, A. Lopes, B. Delahaye, A. Legay. Dynamic networks of heterogeneous timed machines. In Mathematical Structures in Computer Science ; éd. Cambridge University Press (CUP), 2018, vol. 28, num. 06. N. Tabareau, �. Tanter. Chemical foundations of distributed aspects. In Distributed Computing ; éd. Springer Verlag, 2018. O. JALLOULI, S. Assad, M. Chetto, R. Lozi. Design and analysis of two stream ciphers based on chaotic coupling and multiplexing techniques. In Multimedia Tools and Applications ; éd. Springer Verlag, 2018, vol. 77, num. 11. O. Tellez, S. Vercraene, F. Lehuédé, O. Péton, T. Monteiro. The fleet size and mix dial-a-ride problem with reconfigurable vehicle capacity. In Transportation research. Part C, Emerging technologies ; éd. Elsevier, 2018, vol. 91. D. Chablat, X. Kong, C. Zhang. Kinematics, Workspace and Singularity Analysis of a Parallel Robot with Five Operation Modes *. In Journal of Mechanisms and Robotics ; éd. American Society of Mechanical Engineers, 2018, vol. 10, num. 3. G. Hao, H. Li, A. Nayak, S. Caro. Design of a Compliant Gripper With Multimode Jaws. In Journal of Mechanisms and Robotics ; éd. American Society of Mechanical Engineers, 2018, vol. 10, num. 3. V. Godreau, M. Ritou, E. Chové, B. Furet, D. Dumur. Continuous improvement of HSM process by data mining. In Journal of Intelligent Manufacturing ; éd. Springer Verlag (Germany), 2018. T. Mullari, �. Kotta, Z. Bartosiewicz, M. Sarafrazi, C. Moog, E. Pawluszewicz. Weak reachability and controllability of discrete-time nonlinear systems: generic approach and singular points. In International Journal of Control ; éd. Taylor & Francis, 2018. K. Bentlemsan, D. Bennouar, D. Tamzalit, K. Hidouci. A hybrid re-composition based on components and web services. In International Journal of Computers and Applications ; éd. ACTA Press, 2018. A. Aldahdooh, M. Barkowsky, P. Le Callet. Proof-of-concept: role of generic content characteristics in optimizing video encoders. In Multimedia Tools and Applications ; éd. Springer Verlag, 2018, vol. 77, num. 13. A. Nayak, T. Stigger, M. Husty, P. Wenger, S. Caro. Operation Mode Analysis of 3-RPS Parallel Manipulators based on their Design Parameters. In Computer Aided Geometric Design ; éd. Elsevier, 2018, vol. 63. O. Ben Ammar, A. Dolgui, D. Wu. Planned lead times optimization for multi-level assembly systems under uncertainties. In Omega ; éd. Elsevier, 2018, vol. 78. X. Hu, P. Castagliola, Y. Ma, W. Huang. Guaranteed in-control performance of the synthetic X¯ chart with estimated parameters. In Quality and Reliability Engineering International ; éd. Wiley, 2018, vol. 34, num. 5. Z. Guiras, Z. Hajej, N. Rezg, A. Dolgui. Comparative Analysis of Heuristic Algorithms Used for Solving a Production and Maintenance Planning Problem (PMPP). In Applied Sciences ; éd. MDPI, 2018, vol. 8, num. 7. Y. Zhang, A. Bernard, R. Harik, G. Fadel. A new method for single-layer-part nesting in additive manufacturing. In Rapid Prototyping Journal ; éd. Emerald, 2018, vol. 24, num. 5. A. Lebre, J. Pastor, A. Simonet, M. Südholt. Putting the Next 500 VM Placement Algorithms to the Acid Test. In IEEE Transactions on Parallel and Distributed Systems ; éd. Institute of Electrical and Electronics Engineers, 2018. C. Chevallereau, M. Tomić, K. Jovanović, V. Potkonjak, A. Rodić. Human to humanoid motion conversion for dual-arm manipulation tasks. In Robotica ; éd. Cambridge University Press, 2018, vol. 36, num. 8. H. Caballero-Barragán, L. Osuna-Ibarra, A. Loukianov, F. Plestan. Sliding mode predictive control of linear uncertain systems with delays. In Automatica ; éd. Elsevier, 2018, vol. 94. K. Ooms, V. Krassanakis. Measuring the Spatial Noise of a Low-Cost Eye Tracker to Enhance Fixation Detection. In Journal of Imaging ; éd. MDPI, 2018, vol. 4, num. 8. M. Narwaria, L. Krasula, P. Le Callet. Data Analysis in Multimedia Quality Assessment: Revisiting the Statistical Tests. In IEEE Transactions on Multimedia ; éd. Institute of Electrical and Electronics Engineers, 2018, vol. 20, num. 8. P. Melliès, N. Tabareau, C. Tasson. An explicit formula for the free exponential modality of linear logic. In Mathematical Structures in Computer Science ; éd. Cambridge University Press (CUP), 2018, vol. 28, num. 7. X. Wang, A. Sekercioglu, T. Drummond, V. Frémont, E. Natalizio, I. Fantoni. Relative Pose Based Redundancy Removal: Collaborative RGB-D Data Transmission in Mobile Visual Sensor Networks. In Sensors ; éd. MDPI, 2018, vol. 18, num. 8. A. Durupt, M. Bricogne, S. Remy, N. Troussier, H. Rowson, F. Belkadi. An extended framework for knowledge modelling and reuse in reverse engineering projects. In Proceedings of the Institution of Mechanical Engineers, Part B: Journal of Engineering Manufacture ; éd. SAGE Publications, 2018. M. Khatun, M. Khoo, M. Lee, P. Castagliola. One-sided control charts for monitoring the multivariate coefficient of variation in short production runs. In Transactions of the Institute of Measurement and Control ; éd. SAGE Publications, 2018, vol. 41, num. 6. Y. Briheche, F. Barbaresco, F. Bennis, D. Chablat. Theoretical Complexity of Grid Cover Problems Used in Radar Applications. In Journal of Optimization Theory and Applications ; éd. Springer Verlag, 2018. E. Sanfilippo. Feature-based product modelling: an ontological approach. In International Journal of Computer Integrated Manufacturing ; éd. Taylor & Francis, 2018, vol. 31, num. 11. P. Wenger, D. Chablat. Kinetostatic analysis and solution classification of a class of planar tensegrity mechanisms. In Robotica ; éd. Cambridge University Press, 2018. A. Nayak, S. Caro, P. Wenger. Kinematic Analysis of the 3-RPS-3-SPR Series-Parallel Manipulator. In Robotica ; éd. Cambridge University Press, 2018. R. Jha, D. Chablat, L. Baron, F. Rouillier, G. Moroz. Workspace, Joint space and Singularities of a family of Delta-Like Robot. In Mechanism and Machine Theory ; éd. Elsevier, 2018, vol. 127. W. Afzal, H. Bruneliere, D. Di Ruscio, A. Sadovykh, S. Mazzini, E. Cariou, D. Truscan, J. Cabot, A. Gómez, J. Gorroñogoitia, L. Pomante, P. Smrz. The MegaM@Rt2 ECSEL project: MegaModelling at Runtime – Scalable model-based framework for continuous development and runtime validation of complex systems. In Microprocessors and Microsystems: Embedded Hardware Design (MICPRO) ; éd. Elsevier, 2018, vol. 61. W. Lu, J. Petiot, K. Lee, H. Zhu. Validating an emerging tool based on auditory scale for decoding users’ emotional desires. In Journal of Mechanical Science and Technology ; éd. Springer, 2018, vol. 32, num. 9. Z. Al-Shara, F. Alvares, H. Bruneliere, J. Lejeune, C. Prud'Homme, T. Ledoux. CoMe4ACloud: An End-to-End Framework for Autonomic Cloud Systems. In Future Generation Computer Systems ; éd. Elsevier, 2018, vol. 86. Z. Hou, I. Fantoni. Interactive leader-follower consensus of multiple quadrotors based on composite nonlinear feedback control. In IEEE Transactions on Control Systems Technology ; éd. Institute of Electrical and Electronics Engineers, 2018, vol. 26, num. 5. �. Kotta, C. Moog, M. Tõnso. Minimal realizations of nonlinear systems. In Automatica ; éd. Elsevier, 2018, vol. 95. M. Elsman, T. Henriksen, D. Annenkov, C. Oancea. Static interpretation of higher-order modules in Futhark: functional GPU programming in the large. In Proceedings of the ACM on Programming Languages ; éd. ACM, 2018, vol. 2, num. ICFP. H. Al Hasan, C. Gueret, D. Lemoine, D. Rivreau. Surgical case scheduling with sterilising activity constraints. In International Journal of Production Research ; éd. Taylor & Francis, 2018. Z. Guiras, S. Turki, N. Rezg, A. Dolgui. Optimal maintenance plan for two-level assembly system and risk study of machine failure. In International Journal of Production Research ; éd. Taylor & Francis, 2018, vol. 57, num. 8. A. Chibani, X. Delorme, A. Dolgui, H. Pierreval. Dynamic optimisation for highly agile supply chains in e-procurement context. In International Journal of Production Research ; éd. Taylor & Francis, 2018, vol. 56, num. 17. J. Renner, H. Phlipsen, B. Haller, F. Navarro-Avila, Y. Saint-Hill-Febles, D. Mateus, T. Ponchon, A. Poszler, M. Abdelhafez, R. Schmid, S. von Delius, P. Klare. Optical classification of neoplastic colorectal polyps – a computer-assisted approach (the COACH study). In Scandinavian Journal of Gastroenterology ; éd. Taylor & Francis, 2018, vol. 53, num. 9. Z. Zhu, F. Chu, A. Dolgui, C. Chu, W. Zhou, S. Piramuthu. Recent advances and opportunities in sustainable food supply chain: a model-oriented review. In International Journal of Production Research ; éd. Taylor & Francis, 2018, vol. 56, num. 17. H. Arnaud, A. Yannick. Walking gait of a planar bipedal robot with four-bar knees. In Movement & Sport Sciences-Science & Motricité ; éd. EDP Sciences © EDP Sciences, 2018. N. Tabareau, �. Tanter, M. Sozeau. Equivalences for Free. In Proceedings of the ACM on Programming Languages ; éd. ACM, 2018. Q. Luo, V. de-León-Gómez, A. Kalouguine, C. Chevallereau, Y. Aoustin. Self-Synchronization and Self-Stabilization of Walking Gaits Modeled by the Three-Dimensional LIP Model. In IEEE Robotics and Automation Letters ; éd. IEEE, 2018, vol. 3, num. 4. S. Faucou, L. Pinho. Guest editorial: real-time networks and systems. In Real-Time Systems ; éd. Springer Verlag, 2018, vol. 54, num. 4. S. Liu, A. Kouadri-Henni, A. Gavrus. DP600 dual phase steel thermo-elasto-plastic constitutive model considering strain rate and temperature influence on FEM residual stress analysis of laser welding. In Journal of Manufacturing Processes ; éd. Society of Manufacturing Engineers, 2018, vol. 35. Y. Li, A. Orgerie, I. Rodero, B. Lemma Amersho, M. Parashar, J. Menaud. End-to-end Energy Models for Edge Cloud-based IoT Platforms: Application to Data Stream Analysis in IoT. In Future Generation Computer Systems ; éd. Elsevier, 2018, vol. 87. G. Lafay, M. Rossignol, N. Misdariis, M. Lagrange, J. Petiot. Investigating soundscapes perception through acoustic scenes simulation. In Behavior Research Methods ; éd. Psychonomic Society, Inc, 2018, vol. 1, num. 24. F. Rubellin, P. François. Le théâtre du XVIIIe siècle, plus vivant que jamais. In The Conversation ; éd. The Conversation France, 2018. C. Hartmann, R. Chenouard, E. Mermoz, A. Bernard. A framework for automatic architectural synthesis in conceptual design phase. In Journal of Engineering Design ; éd. Taylor & Francis, 2018. T. Zhang, H. Mouchère, C. Viard-Gaudin. A tree-BLSTM-based recognition system for online handwritten mathematical expressions. In Neural Computing and Applications ; éd. Springer Verlag, 2018. V. Krassanakis, M. Da Silva, V. Ricordel. Monitoring Human Visual Behavior during the Observation of Unmanned Aerial Vehicles (UAVs) Videos. In Drones ; éd. MDPI, 2018, vol. 2, num. 4. P. LeFanu Lumsdaine, N. Tabareau. Preface: Special Issue on Homotopy Type Theory and Univalent Foundations. In Journal of Automated Reasoning ; éd. Springer Verlag, 2018. A. Bart, B. Delahaye, P. Fournier, D. Lime, E. Monfroy, C. Truchet. Reachability in parametric Interval Markov Chains using constraints. In Theoretical Computer Science ; éd. Elsevier, 2018, vol. 747. J. Gutierrez, E. David, Y. Rai, P. Le Callet. Toolbox and dataset for the development of saliency and scanpath models for omnidirectional/360° still images. In Signal Processing: Image Communication ; éd. Elsevier, 2018, vol. 69. T. Pham, K. Singh, J. Rodríguez-Aguilar, G. Picard, K. Piamrat, J. Cerquides, C. Viho. AD3-GLaM: A cooperative distributed QoE-based approach for SVC video streaming over wireless mesh networks. In Ad Hoc Networks ; éd. Elsevier, 2018, vol. 80. D. Cortés-Borda, E. Wimmer, B. Gouilleux, E. Barré, N. Oger, L. Goulamaly, L. Peault, B. Charrier, C. Truchet, P. Giraudeau, M. Rodriguez-Zubiri, E. Le Grognec, F. Felpin. An Autonomous Self-Optimizing Flow Reactor for the Synthesis of Natural Product Carpanone. In Journal of Organic Chemistry ; éd. American Chemical Society, 2018, vol. 83, num. 23. A. Aldahdooh, E. Masala, O. Janssens, G. Van Wallendael, M. Barkowsky, P. Le Callet. Improved Performance Measures for Video Quality Assessment Algorithms Using Training and Validation Sets. In IEEE Transactions on Multimedia ; éd. Institute of Electrical and Electronics Engineers, 2018. A. Klimchik, A. Pashkevich, D. Chablat. Fundamentals of manipulator stiffness modeling using matrix structural analysis. In Mechanism and Machine Theory ; éd. Elsevier, 2018, vol. 133. C. Briand, Y. He, S. Ngueveu. Energy-efficient planning for supplying assembly lines with vehicles. In EURO Journal on Transportation and Logistics ; éd. Springer, 2018, vol. 7, num. 4. E. Poirson, C. Cunha. A recommender approach based on customer emotions. In Expert Systems with Applications ; éd. Elsevier, 2018, vol. 122. F. Renda, F. Boyer, J. Dias, L. Seneviratne. Discrete Cosserat Approach for Multisection Soft Manipulator Dynamics. In IEEE Transactions on Robotics ; éd. IEEE, 2018, vol. 34, num. 6. G. Celano, P. Castagliola. An EWMA sign control chart with varying control limits for finite horizon processes. In Quality and Reliability Engineering International ; éd. Wiley, 2018, vol. 34, num. 8. G. Celano, P. Castagliola. The Shewhart F control chart for monitoring processes with finite number of inspections. In Quality and Reliability Engineering International ; éd. Wiley, 2018, vol. 34, num. 8. H. Sabahno, A. Amiri, P. Castagliola. Evaluating the effect of measurement errors on the performance of the variable sampling intervals Hotelling's T 2 control charts. In Quality and Reliability Engineering International ; éd. Wiley, 2018, vol. 34, num. 8. J. Fischer, C. Charron. Une étude du concept d’innumérisme. In Psychologie Française ; éd. Elsevier Masson, 2018, vol. 63, num. 4. K. Khaw, M. KHOO, P. Castagliola, M. Rahim. New adaptive control charts for monitoring the multivariate coefficient of variation. In Computers and Industrial Engineering ; éd. Elsevier, 2018, vol. 126. M. Anel, G. Biedermann, E. Finster, A. Joyal. Goodwillie's calculus of functors and higher topos theory. In Journal of topology ; éd. Oxford University Press, 2018, vol. 11, num. 4. M. Maleki, A. Amiri, P. Castagliola. An overview on recent profile monitoring papers (2008–2018) based on conceptual classification scheme. In Computers and Industrial Engineering ; éd. Elsevier, 2018, vol. 126. P. Loiseau, P. Chevrel, M. Yagoubi, J. Duffal. Robust active noise control in a car cabin: evaluation of achievable performances with a feedback control scheme. In Control Engineering Practice ; éd. Elsevier, 2018, vol. 81. T. Dallej, N. Andreff, P. Martinet. Contribution to generic modeling and vision-based control of a broad class of fully parallel robots. In Robotica ; éd. Cambridge University Press, 2018, vol. 36, num. 12. V. Lostanlen, G. Lafay, J. Andén, M. Lagrange. Relevance-based quantization of scattering features for unsupervised mining of environmental audio. In EURASIP Journal on Audio, Speech, and Music Processing ; éd. SpringerOpen, 2018, vol. 2018, num. 1. Y. Yuan, G. Cheung, P. Le Callet, P. Frossard, H. Zhao. Object Shape Approximation and Contour Adaptive Depth Image Coding for Virtual View Synthesis. In IEEE Transactions on Circuits and Systems for Video Technology ; éd. Institute of Electrical and Electronics Engineers, 2018, vol. 28, num. 12. A. Nguyen, P. Chevrel, F. Claveau. LPV Static Output Feedback for Constrained Direct Tilt Control of Narrow Tilting Vehicles. In IEEE Transactions on Control Systems Technology ; éd. Institute of Electrical and Electronics Engineers, 2018. M. Habermann, V. Frémont, E. Shiguemori. Supervised Band Selection in Hyperspectral Images using Single-Layer Neural Networks. In International Journal of Remote Sensing ; éd. Taylor & Francis, 2018. Y. Zhang, R. Harik, G. Fadel, A. Bernard. A statistical method for build orientation determination in additive manufacturing. In Rapid Prototyping Journal ; éd. Emerald, 2018. O. Battaïa, A. Dolgui, S. Heragu, S. Meerkov, M. Tiwari. Design for manufacturing and assembly/disassembly: joint design of products and production systems. In International Journal of Production Research ; éd. Taylor & Francis, 2018, vol. 56, num. 24. M. Habermann, V. Frémont, E. Shiguemori. Unsupervised Hyperspectral Band Selection Using Clustering and Single-layer Neural Network. In Revue Française de Photogrammétrie et de Télédétection ; éd. Société Française de Photogrammétrie et de Télédétection, 2018. J. GLOAGUEN, A. Can, M. LAGRANGE, J. PETIOT. Road traffic sound level estimation from realistic urban sound mixtures by Non-negative Matrix Factorization. In Applied Acoustics ; éd. Elsevier, 2018, num. 143. E. David, J. Gutierrez, A. Coutrot, M. Da Silva, P. Le Callet. A dataset of head and eye movements for 360° videos. In 9th ACM Multimedia Systems Conference, 2018, amsterdam, Pays-Bas. E. Tahoumi, F. Plestan, M. GHANES, J. Barbot. Controller switching between twisting and linear algorithms for an electropneumatic actuator. In European Control Conference, 2018, Limassol, Chypre. E. Tahoumi, M. GHANES, F. Plestan, J. Barbot. A new controller switching between linear and twisting algorithms. In American Control Conference, 2018, Milwaukee, Winconsin, états-Unis. F. Battisti, M. Carli, P. Le Callet. A Study on the Impact of Visualization Techniques on Light Field Perception. In 26th European Signal Processing Conference (EUSIPCO), 2018, rome, Italie. F. Belkadi, L. Vidal, A. Bernard, E. Pei, E. Sanfilippo. Towards an Unified Additive Manufacturing Product-Process Model for Digital Chain Management Purpose. In CIRP Design, 2018, Nantes, France. F. Plestan, C. Evangelista, P. Paul, I. Guenoune. Control of a twin wind turbines system without wind velocity information. In International Workshop in Variable Structure Systems, 2018, Graz, Autriche. H. Caballero, L. Osuna, A. Loukianov, F. Plestan. Robust control of perturbed linear systems with time-varying delay via sliding mode control. In International workshop on variable structure systems, 2018, Graz, Autriche. J. Gutierrez, E. David, A. Coutrot, M. Da Silva, P. Le Callet. Introducing UN Salient360! Benchmark: A platform for evaluating visual attention models for 360° contents. In Tenth International Conference on Quality of Multimedia Experience (QoMEX), 2018, cagliari, Italie. J. Lee, T. Vigier, P. Le Callet, J. Lee. A Perception-Based Framework for Wide Color Gamut Content Selection. In 25th IEEE International Conference on Image Processing (ICIP), 2018, athenes, Grèce. J. Li, L. Krasula, P. Le Callet, Z. Li, Y. Baveye. Quantifying the Influence of Devices on Quality of Experience for Video Streaming. In Picture Coding Symposium (PCS), 2018, san francisco, états-Unis. J. Li, P. Le Callet. Improving the discriminability of standard subjective quality assessment methods: a case study. In Tenth International Conference on Quality of Multimedia Experience (QoMEX), 2018, cagliari, Italie. J. Li, R. Mantiuk, J. Wang, S. Ling, P. Le Callet. Hybrid-MST: A Hybrid Active Sampling Strategy for Pairwise Preference Aggregation. In Advances in Neural Information Processing Systems 31 (NIPS 2018), 2018, montreal, Canada. O. Bordron, C. Huneau, E. Le Carpentier, Y. Aoustin. Contribution of a Knee Orthosis to Walking. In Challenges and trends in Wearable Robotics, 2018, Pisa, Italie. P. Grangier, M. Gendreau, F. Lehuédé, L. Rousseau. A LNS and branch-and-check approach for a VRP with cross-docking and ressource synchronization. In INFORMS TSL Workshop on ``E-Commerce and Urban Logistics'', 2018, Hong-Kong, Chine. S. Das, Y. Shtessel, F. Plestan. Phase and gain stability margins for a class of nonlinear systems. In IFAC Symposium on Robust Control Design, 2018, Florianopolis, Brésil. S. Ling, G. Cheung, P. Le Callet. No-Reference Quality Assessment for Stitched Panoramic Images Using Convolutional Sparse Coding and Compound Feature Selection. In IEEE International Conference on Multimedia and Expo (ICME), 2018, san diego, états-Unis. S. Ling, P. Le Callet. How to Learn the Effect of Non-Uniform Distortion on Perceived Visual Quality? Case Study Using Convolutional Sparse Coding for Quality Assessment of Synthesized Views. In 25th IEEE International Conference on Image Processing (ICIP), 2018, Athenes, Grèce. T. Vigier, P. Le Callet, J. Kim, H. Ryu, S. Lee. Care TVX: Challenges and Design to Improve TV in In-hospital Environment and for Visually Impaired People. In TVX '18 Proceedings of the 2018 ACM International Conference on Interactive Experiences for TV and Online Video, 2018, seoul, Corée du Sud. Z. Che, G. Zhai, K. Gu, P. Le Callet, X. liu, D. Zhai, X. Gu. Adaptive Screen Content Image Enhancement Strategy using Layer-based Segmentation. In IEEE International Symposium on Circuits and Systems (ISCAS), 2018, Florence, Italie. Z. Che, G. Zhai, L. Jing, k. gu, P. Le Callet, j. Zhou, X. liu. A Blind Quality Measure for Industrial 2D Matrix Symbols Using Shallow Convolutional Neural Network. In 25th IEEE International Conference on Image Processing (ICIP), 2018, Athenes, Grèce. D. Pérez-Morales, O. Kermorgant, S. Domínguez-Quijada, P. Martinet. Laser-Based Control Law For Autonomous Parallel And Perpendicular Parking. In International Conference on Robotic Computing, janvier 2018, Laguna Hills, états-Unis. L. Contreras, O. Kermorgant, P. Martinet. Efficient Decentralized Collaborative Mapping for Outdoor Environments. In International Conference on Robotic Computing, janvier 2018, Laguna Hills, états-Unis. D. Imbs, A. Mostefaoui, M. Perrin, M. Raynal. Set-Constrained Delivery Broadcast: Definition, Abstraction Power, and Computability Limits. In ICDCN '18 - 19th International Conference on Distributed Computing and Networking, janvier 2018, Varanasi, Inde. A. Anand, S. Boulier, N. Tabareau, M. Sozeau. Typed Template Coq -- Certified Meta-Programming in Coq. In CoqPL 2018 - The Fourth International Workshop on Coq for Programming Languages, janvier 2018, Los Angeles, CA, états-Unis. J. Langlois, H. Mouchère, N. Normand, C. Viard-Gaudin. 3D Orientation Estimation of Industrial Parts from 2D Images using Neural Networks. In International Conference on Pattern Recognition Applications and Methods, janvier 2018, Madeira, Portugal. D. Sferruzza, J. Rocheteau, C. Attiogbe, A. Lanoix. A Model-Driven Method for Fast Building Consistent Web Services from OpenAPI-Compatible Models. In Model-Driven Engineering and Software Development - 6th International Conference, (MODELSWARD) 2018 - revised selected papers, janvier 2018, Funchal, Portugal. D. Sferruzza, J. Rocheteau, C. Attiogbe, A. Lanoix. A Model-Driven Method for Fast Building Consistent Web Services in Practice. In MODELSWARD, janvier 2018, Funchal, Portugal. P. Andre, J. Pepin, C. Attiogbé, E. Breton. Virtual Extension of Meta-models with Facet Tools. In 6th International Conference on Model-Driven Engineering and Software Development, janvier 2018, Funchal, Portugal. R. Ben Mhenni, S. Bourguignon, J. Ninin, F. Schmidt. Méthodes exactes de démélange spectral en norme l0 et contraintes de parcimonie structurée à l’aide de MIP. In 19ème Conférence ROADEF, Société Française de Recherche Opérationnelle et Aide à la Décision, février 2018, Lorient, France. A. Dolgui. Combinatorial design of machining lines: new optimization problems and techniques (invited plenary keynote talk). In 14th International Industrial Engineering Conference, février 2018, Teheran, Iran. A. Hassan, M. Oussalah. Evolution Styles: Multi-View/Multi-Level Model for Software Architecture Evolution. In 7th ACM International Conference on Software and Computer Applications, février 2018, Kuantan, Malaisie. A. de Maissin, T. Gomez, C. Le Berre, N. Normand, H. Mouchère, C. Trang, A. Bourreille. Computer aided detection of Crohn’s disease small bowel lesions in wireless capsule endoscopy. In 13th European Crohn's and Colitis Organisation - ECCO, février 2018, Vienna, Autriche. O. Ben Ammar, B. Bettayeb, A. Dolgui. Optimization of multi-period production planning under stochastic lead times and a dynamic demand. In Preprints of the 20th International Working Seminar on Production Economics, Grubbström, R.W, Hinterhuber, H.H., Lundquist, J. (Eds), février 2018, Innsbruck, Autriche. N. Bostel, X. Yang, P. Dejax. Un algorithme mémétique pour le problème de Localisation de Hubs et Routage. In ROADEF 2018, février 2018, Lorient, France. P. Dejax, N. Bostel, Q. Tonneau, T. Yeung. Un problème riche stochastique de tournées avec inventaires pour la collecte de déchets en apport volontaire : modélisation et résolution par ALNS. In ROADEF 2018, février 2018, Lorient, France. R. Mhenni, S. Bourguignon, J. Ninin, F. Schmidt. Méthodes exactes de démélange spectral en norme L0 et contraintes de parcimonie structurée à l'aide de MIP. In 19ème congrès de la ROADEF (2018), février 2018, Lorient, France. T. Petit, A. Trapp. Solution Engineering " : génération et classification de solutions enrichies par des vecteurs de qualité. In ROADEF 2018, 19e congrès annuel de la société Française de Recherche Opérationnelle et d’Aide à la Décision, février 2018, Lorient, France. D. Radu, A. Cretu, B. Parrein, J. Yi, C. Avram, A. Astilean. Flying Ad Hoc Network for Emergency Applications connected to a Fog System. In Emerging Internet, Data & Web Technologies (EIDWT) 2018, mars 2018, Tirana, Albanie. F. Boujdad, M. Südholt. Constructive Privacy for Shared Genetic Data. In CLOSER 2018 - 8th International Conference on Cloud Computing and Services Science, mars 2018, Funchal, Madeira, Portugal. H. Bruneliere, Z. Al-Shara, F. Alvares, J. Lejeune, T. Ledoux. A Model-based Architecture for Autonomic and Heterogeneous Cloud Systems. In CLOSER 2018 - 8h International Conference on Cloud Computing and Services Science, mars 2018, Funchal, Portugal. F. Dhaou, I. Mouakher, J. Attiogbe, K. Bsaïes. Guard Evaluation and Synchronization Issues in Causal Semantics for UML2.X Sequence Diagrams. In 13th International Conference on Evaluation of Novel Approaches to Software Engineering, mars 2018, Funchal, Portugal. L. Rodríguez, M. Giannakis, C. Da Cunha. Investigating the Enablers of Big Data Analytics on Sustainable Supply Chain. In IPSERA, mars 2018, Athènes, Grèce. O. Yildiz, S. Ibrahim. On the Performance of Spark on HPC Systems: Towards a Complete Picture. In SCA 2018 - SupercomputingAsia, mars 2018, Singapore, Singapour. O. Battaïa, A. Dolgui, N. Guschinsky. MIP approach for batch machining at flow lines with stationary machines. In Proceedings of the 8th International conference “Tanaev's Readings 2018”, mars 2018, Minsk, Bélarus. O. Ben Ammar, B. Bettayeb, A. Dolgui. Production planning problem with dynamic demand and stochastic lead times (Invited plenary talk). In Proceedings of the 8th International conference "Tanaev's Readings 2018", mars 2018, Minsk, Bélarus. X. Delorme, A. Dolgui, S. Kovalev, M. Kovalyov. Workforce planning for cyclic production of multiple parts on a paced line. In Proceedings of the 8th International conference “Tanaev's Readings 2018”, mars 2018, Minsk, Bélarus. J. Herault, F. Boyer. Émergence d’une nage cohérente induite par des retours sensoriels. In rencontre du non-linéaire 2018, mars 2018, Paris, France. M. Boudineau, S. Bourguignon, H. Carfantan. An L0 solution to sparse approximation problems with continuous dictionaries. In IEEE ICASSP, avril 2018, Calgary, Canada. P. Pédrot, N. Tabareau. Failure is Not an Option An Exceptional Type Theory. In ESOP 2018 - 27th European Symposium on Programming, avril 2018, Thessaloniki, Grèce. R. Cherrueau, M. Simonin, A. Van Kempen. EnosStack: A LAMP-like stack for the experimenter. In INFOCOM WKSHPS 2018 - IEEE International Conference on Computer Communications, avril 2018, Honolulu, états-Unis. H. MROUE, N. Abbass, S. Hamrioui, B. Parrein, E. Motta-Cruz, G. ROUYER. MAC layer-based evaluation of IoT technologies: LoRa, Sigfox and NB-IoT. In IEEE Middle East & North Africa COMMunications Conference, avril 2018, Jounieh, Liban. A. KOUADRI-HENNI, B. Malard. Evaluation between residual stresses obtained by neutron diffraction and simulation for dual phase steel welded by laser process. In International ESAFORM Conference on Material Forming – ESAFORM 2018, avril 2018, Palermo, France. E. Amro, A. KOUADRI-HENNI. Joining of polymer-metal lightweight structures using self-piercing riveting (SPR) technique: Numerical approach and simulation results. In PROCEEDINGS OF THE 21ST INTERNATIONAL ESAFORM CONFERENCE ON MATERIAL FORMING: ESAFORM 2018, avril 2018, Palermo, Italie. J. Petiot, A. Munoz, B. Gazengel. Caractérisations objectives et subjectives d'anches simples en situation de jeu. In Congrès Français d'Acoustique, avril 2018, Le Havre, France. M. Bazm, T. Sautereau, M. Lacoste, M. Südholt, J. Menaud. Cache-Based Side-Channel Attacks Detection through Intel Cache Monitoring Technology and Hardware Performance Counters. In FMEC 2018 - Third IEEE International Conference on Fog and Mobile Edge Computing, avril 2018, Barcelona, Espagne. R. Tournemenne, A. Chabot, J. Petiot, J. Gilbert. Perceptive study of an optimal trumpet using simulated sounds. In CFA 2018 - 14ème Congrès Français d'Acoustique, avril 2018, Le Havre, France. J. Darrous, S. Ibrahim, A. Zhou, C. Pérez. Nitro: Network-Aware Virtual Machine Image Management in Geo-Distributed Clouds. In CCGrid 2018 - 18th IEEE/ACM International Symposium on Cluster, Cloud and Grid Computing, mai 2018, Washington D.C., états-Unis. G. noureddine, A. Amirat, M. Oussalah, H. Seridji. Developing a Conceptual Framework for Software Evolution Methods via Architectural Metrics. In 6th IFIP International Conference on Computer Intelligence and Its Applications,Springer-Verlag, mai 2018, oran, Algérie. S. Garnier, K. Subrin, P. Arevalo-Siles, G. Caverot, B. Furet. Mobile robot stability for complex tasks in naval industries. In 51st CIRP Conference on Manufacturing Systems, mai 2018, stockolm, Suède. D. SIX, A. Chriette, S. Briot, P. Martinet. The Kinematics, Dynamics and Control of a Flying Parallel Robot with Three Quadrotors. In 2018 IEEE International Conference on Robotics and Automation (ICRA 2018), mai 2018, Brisbane, Australie. T. Rasheed, P. Long, D. Marquez-Gamez, S. Caro. Available Wrench Set for Planar Mobile Cable-Driven Parallel Robots. In IEEE International Conference on Robotics and Automation (ICRA 2018), mai 2018, Brisbane, Australie. A. Martin, S. Caro, P. Cardou. Design of a Cable-Driven Parallel Robot with Grasping Device. In The 28th CIRP Design Conference, mai 2018, Nantes, France. D. Chablat, S. Venkateswaran, F. Boyer. Mechanical Design Optimization of a Piping Inspection Robot. In 28th CIRP Design conference, mai 2018, Nantes, France. G. Massonnet, O. Péton. A sampling matheuristic for the location inventory routing problem. In Workshop XXIV of the EURO Working Group on Locational Analysis, mai 2018, Edinburgh, Royaume-Uni. S. Lessanibahri, P. Cardou, S. Caro. Parasitic Inclinations in Cable-Driven Parallel Robots using Cable Loops. In The 28th CIRP Design Conference, mai 2018, Nantes, France. D. Radu, A. Cretu, C. Avram, A. Astilean, B. Parrein. Video content transmission in a public safety system model based on flying Ad-hoc networks. In 2018 IEEE International Conference on Automation, Quality and Testing, Robotics (AQTR) (2018), mai 2018, Cluj-Napoca, Roumanie. Y. Wang, D. Nörtershäuser, S. Le Masson, J. Menaud. Etude de l'influence des aspects thermiques sur la consommation et l'efficacité énergétique des serveurs. In SFT 2018 - 26ème Congrès Français de Thermique, mai 2018, Pau, France. L. Jezequel, A. Madalinski, S. Schwoon. Distributed computation of vector clocks in Petri nets unfolding for test selection. In Workshop on Discrete Event Systems (WODES), mai 2018, Sorrento, Italie. E. David, J. Gutierrez, A. Coutrot, M. Perreira Da Silva, P. Le Callet. A Dataset of Head and Eye Movements for 360° Videos. In ACM Multimedia Systems Conference, juin 2018, Amsterdam, Pays-Bas. F. Fusco, O. Kermorgant, P. Martinet. Improving Relaxation-based Constrained Path Planning via Quadratic Programming. In International Conference on Intelligent Autonomous Systems, juin 2018, Baden-Baden, Allemagne. H. Boucheneb, D. Lime, O. Roux, C. Seidner. Optimal-Cost Reachability Analysis Based on Time Petri Nets. In 18th International Conference on Application of Concurrency to System Design (ACSD 2018), juin 2018, Bratislava, Slovaquie. �. André, D. Lime, M. Ramparison. Timed Automata with Parametric Updates. In 18th International Conference on Application of Concurrency to System Design (ACSD 2018), juin 2018, Bratislava, Slovaquie. F. Lehuédé, O. Péton, F. Tricoire. Multi-directional local search for the leximax-VRP. In 7th International Workshop on Freight Transportation and Logistics (ODYSSEUS 2018), juin 2018, Cagliari, Italie. T. Minier, H. Skaf-Molli, P. Molli, M. Vidal. Ulysses: an Intelligent client for replicated Triple Pattern Fragments. In The Semantic Web: ESWC 2018 Satellite Events (Awarded Best demonstration paper), juin 2018, Heraklion, Grèce. O. Tellez, S. Vercraene, F. Lehuédé, O. Péton, T. Monteiro. Consistent Dial-a-Ride Problem. In 60th Annual CORS Conference, juin 2018, Halifax, Canada. T. Minier, H. Skaf-Molli, P. Molli, M. Vidal. Intelligent clients for replicated Triple Pattern Fragments. In 15th Extended Semantic Web Conference (ESWC 2018), juin 2018, Heraklion, Grèce. A. Ambiehl, S. Garnier, K. Subrin, B. FURET. Méthodes de recalage de trajectoire par correction miroir pour l'usinage robotisé. In Conférence MUGV 2018 et Manufacturing 21, juin 2018, Bordeaux, France. A. Sadovykh​, A. Bagnato, D. Truscan​, P. Pierini​, H. Bruneliere, A. Gomez, J. Cabot, O. Avila-García​, W. Afzal. A Tool-Supported Approach for Building the Architecture and Roadmap in MegaM@Rt2 Project. In SEDA 2018: Proceedings of 6th International Conference in Software Engineering for Defence Applications, juin 2018, Rome, Italie. E. MALEKI, F. Belkadi, A. Bernard. Industrial Product-Service System modelling base on Systems Engineering. In 16th IFAC Symposium on Information Control Problems in Manufacturing, INCOM, juin 2018, Bergamo, Italie. K. Subrin, T. Bressac, S. Garnier, A. Ambiehl, E. Paquet, B. Furet. Improvement of the mobile robot location dedicated for habitable house construction by 3D printing. In 16th IFAC Symposium on Information Control Problems in Manufacturing INCOM 2018, juin 2018, Bergame, Italie. O. Cardin, W. Derigent, D. Trentesaux. Evolution of holonic control architectures towards Industry 4.0: A short overview. In 16th IFAC Symposium on Information Control Problems in Manufacturing, INCOM 2018, juin 2018, Bergamo, Italie. J. Pastor, J. Menaud. SeDuCe: Toward a testbed for research on thermal and power management in datacenters. In E2DC 2018 - 7th International Workshop on Energy-Efficient Data Centres, juin 2018, Karlsruhe, Allemagne. L. Lemazurier, P. Chevrel, M. Yagoubi, A. Grossetête. A Multi-Objective Nuclear Core Control Performing Hot and Cold Leg Temperature Control. In European Control Conference, juin 2018, limassol, Chypre. M. Bonilla, M. Malabre, V. Azhmyakov. Advances of Implicit Description Techniques in Modelling and Control of Complex Systems. In Workshop n°2 de la Conférence ECC2018 (European Control Conference), juin 2018, Limassol, Chypre. R. LING, F. Claveau, Y. FENG, P. Chevrel. Output regulation of multi-input systems under packet dropout with application to trajectory tracking of two cooperative robots. In European Control Conference, juin 2018, Limassol, Chypre. S. Mustaki, P. Chevrel, M. Yagoubi, F. Fauvel. Efficient Multi-Objective and Multi-Scenarios Control Synthesis Methodology for Designing a Car Lane Centering Assistance System. In European Control Conference, juin 2018, Limassol, Chypre. D. Sferruzza, J. Rocheteau, C. Attiogbé, A. Lanoix. A Model-Driven Method for Fast Building Consistent Web Services in Practice. In 17ièmes journées AFADL Approches Formelles dans l'Assistance au Développement de Logiciels, juin 2018, Grenoble, France. R. Gupta, C. Ucler, A. Bernard. Extension of the Virtual Customer Inspection for Distant Collaboration in NPD. In 2018 IEEE International Conference on Engineering, Technology and Innovation (ICE/ITMC), juin 2018, Stuttgart, France. A. Koessler, N. Bouton, S. Briot, B. BOUZGARROU, Y. Mezouar. Linear Adaptive Computed Torque Control for Singularity Crossing of Parallel Robots. In 22nd CISM IFToMM Symposium on Robot Design, Dynamics and Control (RoManSy 2018), juin 2018, Rennes, France. A. Pirogov, A. Rossi, A. Dolgui. Maximization of production line robustness under task time uncertainties at the line design stage. In EURO Mini-Conference on Logistics Analytics, juin 2018, Minsk, Bélarus. B. Rozin, G. Levin, A. Dolgui. Optimization of output and manufacturing intensities for batch processing of multiple products on multi-position transfer line under uncertainty of demande. In Logistics Analitics: Euro mini-conference, juin 2018, Minsk, Bélarus. L. Kaci, S. Briot, C. Boudaud, P. Martinet. Design of a Wooden Five-bar Mechanism. In 22nd CISM IFToMM Symposium on Robot Design, Dynamics and Control (RoManSy 2018), juin 2018, Rennes, France. M. Saint-Sevin, V. Begoc, S. Briot, A. Chriette, I. Fantoni. Design and Optimization of a Multi-drone Robot for Grasping and Manipulation of Large-size Objects. In 22nd CISM IFToMM Symposium on Robot Design, Dynamics and Control (RoManSy 2018), juin 2018, Rennes, France. O. Ben Ammar, A. Dolgui. Replenishement planning for two-level assembly systems under stochastic lead times: exact methods and methaheuristics. In Logistics Analitics: Euro mini-conference, juin 2018, Minsk, Bélarus. R. Balderas Hill, S. Briot, A. Chriette, P. Martinet. Minimizing Input Torques of a High-Speed Five-Bar Mechanism by using Variable Stiffness Springs. In 22nd CISM IFToMM Symposium on Robot Design, Dynamics and Control (RoManSy 2018), juin 2018, Rennes, France. A. Nayak, S. Caro, P. Wenger. A Dual Reconfigurable 4-rRUU Parallel Manipulator. In The 4th IEEE/IFToMM International conference on Reconfigurable Mechanisms and Robots (ReMAR2018), juin 2018, Delft, Pays-Bas. C. Califano, E. Scharbarg, N. Magdelaine, C. Moog. Diabetic Gastroparesis Modeling and Observer Design. In MICNON 2018, juin 2018, Guadalajara, Mexique. F. Boyer, F. Renda. Euler-Poincaré equations for Cosserat media. In Colloque: "Jean-Marie Souriau" CITV 2018, juin 2018, Carqueiranne, France. A. Van Riesen, M. Furet, C. Chevallereau, P. Wenger. Dynamic analysis and control of an antagonistically actuated tensegrity mechanism. In 22nd CISM IFToMM Symposium on Robot Design, Dynamics and Control (ROMANSY'2018), juin 2018, Rennes, France. F. Okoli, Y. Lang, O. Kermorgant, S. Caro. Cable-Driven Parallel Robot simulation using Gazebo and ROS. In The 22nd CISM IFToMM Symposium on Robot Design, Dynamics and Control, juin 2018, Rennes, France. G. Daniel, G. Sunyé, J. Cabot. Scalable Queries and Model Transformations with the Mogwaï Tool. In ICMT 2018, juin 2018, Toulouse, France. G. Wu, S. Caro. Torsional Stability of a U–joint based Parallel Wrist Mechanism Featuring Infinite Torsion. In The 22nd CISM IFToMM Symposium on Robot Design, Dynamics and Control, juin 2018, Rennes, France. M. Tisi, Z. CHENG. CoqTL: an Internal DSL for Model Transformation in Coq. In ICMT 2018 - 11th International Conference on Theory and Practice of Model Transformations, juin 2018, Toulouse, France. S. Baklouti, S. Caro, E. Courteille. Elasto-Dynamic Model-Based Control of Non-Redundant Cable-Driven Parallel Robots. In The 22nd CISM IFToMM Symposium on Robot Design, Dynamics and Control, juin 2018, Rennes, France. V. De Leon Gomez, C. Barone, A. Yannick, C. Chevallereau. Study of the walking efficiency of a human with a cane. In Romansy, juin 2018, Rennes, France. F. Mars, A. Boubezoul, S. Espie. Subjective assessment of steering control actions during bend-taking with a motorcycle. In 29th International Congress of Applied Psychology, juin 2018, Montréal, Canada. H. MROUE, N. Abbass, B. Parrein, S. Hamrioui, E. Motta-Cruz, G. ROUYER. Analytical and Experimental study for LoRa Modulation. In 25th International Conference on Telecommunications, juin 2018, Saint-Malo, France. H. Mroue, A. Nasser, B. Parrein, S. Hamrioui, E. Mona-Cruz, G. Rouyer. Analytical and Simulation study for LoRa Modulation. In 25th International Conference on Telecommunications, ICT 2018, juin 2018, Saint-Malo, France. O. Ben-Ammar, B. Bettayeb, A. Dolgui. Optimisation d'un plan de production multi-périodes avec une demande dynamique et des délais stochastiques.. In Proceedings of the 12th International Conference on Modeling, Optimization and SIMulation (MOSIM18), juin 2018, Toulouse, France. A. Klimchik, A. Pashkevich, D. Chablat. MSA - Technique for Stiffness Modeling of Manipulators with Complex and Hybrid Structures. In 12TH IFAC SYMPOSIUM ON ROBOT CONTROL - SYROCO 2018, juin 2018, Budapest, Hongrie. C. Califano, C. Moog. T-Accessibility for a class of nonlinear time–delay systems. In American Control Conference, juin 2018, Milwaukee, WI, états-Unis. Y. BIAN, F. Gayraud, D. Lemoine, T. Yeung, N. Bostel. Multi-Level Uncapacitated Lot-Sizing Problem Considering Working Capital Requirement. In 12th International Conference on Modeling, Optimization and SIMulation (MOSIM18), juin 2018, Toulouse, France. H. Bruneliere, R. Eramo, A. Gomez, V. Besnard, J. Bruel, M. Gogolla, A. Kästner, A. Rutle. Model-Driven Engineering for Design-Runtime Interaction in Complex Systems: Scientific Challenges and Roadmap. In MDE@DeRun 2018 workshop, co-located with the Software Technologies: Applications and Foundations (STAF 2018) federation of conferences, juin 2018, Toulouse, France. V. Besnard, F. Jouault, T. Le Calvar, M. Tisi. The TTC 2018 Social Media Case, by ATL and AOF. In 11th Transformation Tool Contest, co-located with the 2018 Software Technologies: Applications and Foundations (STAF 2018), juin 2018, Toulouse, France. D. Chablat, L. Baron, R. Jha, L. Rolland. The 3-PPPS parallel robot with U-shape Base, a 6-DOF parallel robot with simple kinematics. In 16th International Symposium on Advances in Robot Kinematics, juillet 2018, Bologna, Italie. M. Furet, M. Lettl, P. Wenger. Kinematic analysis of planar tensegrity 2-X manipulators. In 16th International Symposium on Advances in Robot Kinematics, juillet 2018, Bologne, Italie. T. Rasheed, P. Long, D. Marquez-Gamez, S. Caro. Kinematic Modeling and Twist Feasibility of Mobile Cable-Driven Parallel Robots. In The 16th International Symposium on Advances in Robot Kinematics, juillet 2018, Bologne, Italie. T. Stigger, A. Nayak, S. Caro, P. Wenger, M. Pfurner, M. Husty. Algebraic Analysis of a 3-RUU Parallel Manipulator. In The 16th International Symposium on Advances in Robot Kinematics, juillet 2018, Bologne, Italie. G. Fertin, J. Fradin, C. Komusiewicz. On the Maximum Colorful Arborescence Problem and Color Hierarchy Graph Structure. In Annual Symposium on Combinatorial Pattern Matching -- CPM 2018, juillet 2018, Qingdao, Chine. S. Wu, M. Liu, S. Ibrahim, H. Jin, L. Gu, F. Chen, Z. Liu. TurboSream: Towards Low-Latency Data Stream Processing. In ICDCS 2018 - 38th IEEE International Conference on Distributed Computing Systems, juillet 2018, Vienna, Autriche. D. Delacroix, S. Sakka, R. Gaboriau, L. Billonnet, N. Couegnas. PEOPLE WITH ALZHEIMER’S DISEASE AND ROBOTS TOWARD A DISCOURSE SHIFT IN SOCIAL ROBOTIC: FROM COMPANION ROBOT TO EXTENSION ROBOT PARADIGM. In 6th International Conference on Medical Informatics & Telemedicine, juillet 2018, Berlin, Allemagne. G. Combette, G. Munch-Maccagnoni. A resource modality for RAII. In LOLA 2018: Workshop on Syntax and Semantics of Low-Level Languages, juillet 2018, Oxford, Royaume-Uni. A. Dolgui. Combinatorial techniques to optimally customize machining/assembly lines (Invited plenary talk). In Optimization Problems and Their Applications, OPTA 2018, 7th International Conference, Omsk, Russia, 8-14 July 2018, juillet 2018, Omsk, Russie. A. Pirogov, E. Gurevsky, A. Rossi, A. Dolgui. Optimality-based cuts generation for robust balancing of paced production lines with blocks of uncertain parallel tasks and space restrictions. In 29th European Conference on Operational Research (EURO 2018), juillet 2018, Valencia, Espagne. K. Akhmadeev, A. Houssein, S. Moussaoui, E. Høgestøl, I. Tutturen, H. Harbo, S. Bos-Haugen, J. Graves, D. Laplaud, P. Gourraud. SVM-based Tool to Detect Patients with Multiple Sclerosis Using a Commercial EMG Sensor. In 2018 IEEE 10th Sensor Array and Multichannel Signal Processing Workshop, juillet 2018, Sheffield, Royaume-Uni. S. Kovalev, X. Delorme, A. Dolgui, M. Kovalyov. An optimal workforce assignment problem for a paced assembly line at the line design stage. In 29th European Conference on Operational Research (EURO-2018), juillet 2018, Valencia, Espagne. A. Anand, S. Boulier, C. Cohen, M. Sozeau, N. Tabareau. Towards Certified Meta-Programming with Typed Template-Coq. In ITP 2018 - 9th Conference on Interactive Theorem Proving, juillet 2018, Oxford, Royaume-Uni. �. Miquey. A sequent calculus with dependent types for classical arithmetic. In LICS 2018 - 33th Annual ACM/IEEE Symposium on Logic in Computer Science, juillet 2018, Oxford, Royaume-Uni. �. Miquey. Formalizing Implicative Algebras in Coq. In ITP 2018 - 9th International Conference on Interactive Theorem Proving, juillet 2018, Oxford, Royaume-Uni. R. Cherrueau, A. Lebre, D. Pertin, F. Wuhib, J. Soares. Edge Computing Resource Management System: a Critical Building Block! Initiating the debate via OpenStack. In HotEdge 2018 - USENIX Workshop on Hot Topics in Edge Computing, juillet 2018, Boston, MA, états-Unis. D. Shah, J. Gao, A. Pashkevich, S. Caro, B. Courtemanche. Computer-aided design and optimization of a redundant robotic system for automated fiber placement process. In AIP Conference Proceedings, juillet 2018, Surabaya, Indonésie. J. Chang, D. Chablat, L. Ma, B. Fouad. Using 3D Scan to Determine Human Body Segment Mass in OpenSim Model. In 20th International Conference on Computer Interaction HCI, juillet 2018, Las Vegas, états-Unis. E. Mojica-Nava, N. Rakoto-Ravalontsalama. Feedback Stabilization of Switched Differential Algebraic Systems. In The 23rd International Symposium on Mathematical Theory of Networks and Systems (MTNS 2018), juillet 2018, Hong Kong, R.A.S. chinoise de Hong Kong. M. Canu, N. Rakoto-Ravalontsalama. On Switchable Languages of Discrete-Event Systems with Weighted Automata. In 23rd International Symposium on Mathematical Theory of Networks and Systems, juillet 2018, Hong Kong, R.A.S. chinoise de Hong Kong. M. Chardet, H. Coullon, D. Pertin, C. Pérez. Madeus: A formal deployment model. In 4PAD 2018 - 5th International Symposium on Formal Approaches to Parallel and Distributed Systems (hosted at HPCS 2018), juillet 2018, Orléans, France. Q. NGUYEN, K. Tran, P. Castagliola, T. Truong, M. Nguyen, S. Lardjane. Nested One-Class Support Vector Machines for Network Intrusion Detection. In 2018 IEEE Seventh International Conference on Communications and Electronics (ICCE), juillet 2018, Hue, Viêt Nam. H. Attiya, A. Castañeda, D. Hendler, M. Perrin. Separating Lock-Freedom from Wait-Freedom. In The 37th ACM Symposium on Principles of Distributed Computing, juillet 2018, Egham, Royaume-Uni. N. Magdelaine, E. Scharbarg, L. Chaillous, C. Moog, E. Le Carpentier. Clinical assessment of a new biomatical model for decision making in functional insulin therapy. In 11th European Conference on Mathematical and Theoretical Biology, juillet 2018, Lisbonne, Portugal. A. Dolgui. 55th anniversary of Production Research: An invited plenary talk. In ICPR International Conference on Production Research, juillet 2018, Poznan, Pologne. J. Gao, A. Pashkevich, M. Cicellini, S. Caro. Optimal Coordination of Robot Motions with Positioner and Linear Track in a Fiber Placement Workcell. In The 15th International Conference of Informatics in Control, Automation and Robotics (ICINCO 2018), juillet 2018, Porto, Portugal. K. Tran, P. Castagliola, T. Nguyen, A. Cuzol. The Efficiency of the VSI Exponentially Weighted Moving Average Median Control Chart. In 24th ISSAT International Conference on Reliability and Quality in Design, août 2018, Toronto, Canada. D. Solet, J. Béchennec, M. Briday, S. Faucou, S. Pillement. HW-based Architecture for Runtime Verification of Embedded Software on SOPC systems. In 2018 NASA/ESA Conference on Adaptive Hardware and Systems (AHS), août 2018, Edinburgh, Royaume-Uni. A. Zhou, T. Phan, S. Ibrahim, B. He. Energy-Efficient Speculative Execution using Advanced Reservation for Heterogeneous Clusters. In ICPP 2018 - 47th International Conference on Parallel Processing, août 2018, Eugene, états-Unis. S. Wu, Z. Liu, S. Ibrahim, L. Gu, H. Jin, F. Chen. Dual-Paradigm Stream Processing. In ICPP 2018 - 47th International Conference on Parallel Processing, août 2018, Eugene, états-Unis. E. Picard, S. Caro, F. Plestan, F. Claveau. Control Solution for a Cable-Driven Parallel Robot with Highly Variable Payload. In ASME 2018 International Design Engineering Technical Conferences & Computers and Information in Engineering Conference IDETC/CIE 2018, août 2018, Quebec city, Canada. F. Mars, A. Ameyoe, P. Chevrel, E. Le Carpentier, H. Illy. Estimating in-vehicle distraction through a driver model. In 20th Congress of the International Ergonomics Association, août 2018, Florence, Italie. H. Shen, C. Wu, D. Chablat, G. Wu, T. Yang. Topological design of an asymmetric 3-translational parallel mechanism with zero coupling degree and motion decoupling. In Proceedings of the International Design Engineering Technical Conferences & Computers and Information in Engineering Conference, août 2018, Québec, Canada. I. Milleville-Pennel, F. Mars, X. Zanlonghi, A. Barrucand, T. Rozière. Ecological method to assess visual field deficit while driving. In 20th Congress of the International Ergonomics Association, août 2018, Florence, Italie. J. Czapalay Erskine, A. Chriette, S. Caro. Wrench Capability Analysis of Aerial Cable Towed Systems. In ASME International Design Engineering Technical Conferences & Computers and Information in Engineering Conference (IDETC/CIE 2018), août 2018, Québec, Canada. L. Kaci, S. Briot, C. Boudaud, P. Martinet. RobEcolo: Optimal Design of a Wooden Five-bar Mechanism. In ASME 2018 International Design Engineering Technical Conferences & Computers and Information in Engineering Conference (IDETC/CIE 2018), août 2018, Québec, Canada. R. Balderas Hill, S. Briot, A. Chriette, P. Martinet. Increasing energy efficiency of high-speed parallel robots by using variable stiffness springs and optimal motion generation. In ASME 2018 International Design Engineering Technical Conferences & Computers and Information in Engineering Conference (IDETC/CIE 2018), août 2018, Québec, Canada. S. Lessanibahri, P. Cardou, S. Caro. Kinetostatic Analysis of a Simple Cable-Driven Parallel Crane. In ASME 2018 International Design Engineering Technical Conferences & Computers and Information in Engineering Conference IDETC/CIE 2018, août 2018, Quebec city, Canada. T. Rasheed, P. Long, D. Marquez-Gamez, S. Caro. Optimal Kinematic Redundancy Planning for Planar Mobile Cable-Driven Parallel Robots. In The ASME 2018 International Design Engineering Technical Conferences & Computers and Information in Engineering Conference IDETC/CIE 2018, août 2018, Quebec city, Canada. A. Godet, X. Lorca, G. Simonin. Deriving filtering algorithms from dedicated algorithms: zoom on the Bin Packing problem. In CP 2018 - The 24th International Conference on Principles and Practice of Constraints Programming, août 2018, Lille, France. D. Chablat, L. Rolland. NAVARO II, A new parallel robot with eight actuation modes. In International Design Engineering Technical Conferences & Computers and Information in Engineering Conference, août 2018, Québec, Canada. G. Lo Bianco, C. Truchet, X. Lorca, V. Ravelomanana. A Probabilistic Model to Count Solutions on the alldifferent Constraint. In CP 2018 - The 24th International Conference on Principles and Practice of Constraints Programming, août 2018, Lille, France. G. Ziat, M. Pelleau, C. Truchet, A. Miné. Finding solutions by finding inconsistencies. In CP 2018 - 24th International Conference on Principles and Practice of Constraint Programming, août 2018, Lille, France. J. Gao, A. Pashkevich, M. Cicellini, S. Caro. Optimization of Robot and Positioner Motions in Manufacturing of High-pressure Composite Vessels. In The 12th IFAC Symposium On Robot Control (SYROCO 2018), août 2018, Budapest, Hongrie. O. Tellez, L. Daguet, F. Lehuédé, T. Monteiro, G. Osorio Montoya, O. Péton, S. Vercraene. Étude pour l'analyse et l'optimisation du transport des personnes en situation de handicap. In Conférence francophone en gestion et ingénierie de systèmes hospitaliers (GISEH), août 2018, Geneve, Suisse. X. Chai, T. Ribeiro, M. Magnin, O. Roux, K. Inoue. Static Analysis and Stochastic Search for Reachability Problem. In 9th Workshop on Static Analysis and Systems Biology (SASB 2018), août 2018, Freiburg, Allemagne. E. André, D. Lime, M. Ramparison. TCTL Model Checking Lower/Upper-Bound Parametric Timed Automata Without Invariants. In 16th International Conference on Formal Modeling and Analysis of Timed Systems (FORMATS 2018), septembre 2018, Beijing, Chine. M. Lagrange, M. Rossignol, G. Lafay. Visualization of audio data using stacked graphs. In 19th International Society for Music Information Retrieval Conference, septembre 2018, Paris, France. R. Ben Mhenni, S. Bourguignon, J. Ninin, F. Schmidt. Spectral unmixing with sparsity and structuring constraints. In IEEE WHISPERS, septembre 2018, Amsterdam, Pays-Bas. T. Ribeiro, M. Folschette, M. Magnin, O. Roux, K. Inoue. Learning Dynamics with Synchronous, Asynchronous and General Semantics. In 28th International Conference on Inductive Logic Programming, septembre 2018, Ferrara, Italie. D. Annenkov, M. Elsman. Certified Compilation of Financial Contracts. In PPDP '18 - 20th International Symposium on Principles and Practice of Declarative Programming, septembre 2018, Frankfurt am Main, Allemagne. D. Sferruzza. Top-Down Model-Driven Engineering of Web Services from Extended OpenAPI Models. In the 33rd ACM/IEEE International Conference on Automated Software Engineering, septembre 2018, Montpellier, France. B. Ahrens, A. Hirschowitz, A. Lafont, M. Maggesi. High-level signatures and initial semantics. In 27th EACSL Annual Conference on Computer Science Logic (CSL 2018), septembre 2018, Birmingham, Royaume-Uni. D. Chablat, E. Ottaviano, S. Venkateswaran. Self-Motion of the 3-PPPS Parallel Robot with Delta-Shaped Base. In European Conference on Mechanism Science, septembre 2018, Aachen, Allemagne. Y. Wang, D. Nörtershäuser, S. Le Masson, J. Menaud. Potential effects on server power metering and modeling. In CloudComp 2018 - 8th EAI International Conference on Cloud Computing, septembre 2018, Exeter, Royaume-Uni. A. Dolgui. Combinatorial design of paced production lines in machining environment (invited plenary keynote talk). In The XIX Congress of the Portuguese Association of Operational Research, septembre 2018, Aveiro, Portugal. Z. CHENG, J. Royer, M. Tisi. Efficiently Characterizing the Undefined Requests of a Rule-Based System. In IFM 2018 - 14th International Conference on integrated Formal Methods, septembre 2018, Maynooth, Irlande. A. Goldsztejn, G. Chabert. Estimating the robust domain of attraction for non-smooth systems using an interval Lyapunov equation. In The 18th International Symposium on Scientific Computing, Computer Arithmetic, and Verified Numerical Computations, septembre 2018, Tokyo, Japon. A. Goldsztejn, S. Caro, G. Chabert. A parametric Kantorovich theorem with application to tolerance synthesis. In The 18th International Symposium on Scientific Computing, Computer Arithmetic, and Verified Numerical Computations, septembre 2018, Tokyo, Japon. A. Klimchik, A. Pashkevich, D. Chablat. Stiffness Analysis of Parallel Manipulator NaVaRo with Dual Actuation Modes. In 2018 International Russian Automation Conference (RusAutoCon), septembre 2018, Sotchi, Russie. D. Solet, M. Briday, J. Béchennec, S. Faucou, S. Pillement. Hardware Runtime Verification of a RTOS Kernel: Evaluation Using Fault Injection. In 14th European Dependable Computing Conference (EDCC), septembre 2018, Iasi, Roumanie. G. Chabert, A. Goldsztejn, C. Jermann. Solving under-constrained numerical constraint satisfaction problems with IBEX. In The 18th International Symposium on Scientific Computing, Computer Arithmetic, and Verified Numerical Computations, septembre 2018, Tokyo, Japon. M. Furet, P. Wenger. Workspace and cuspidality analysis of a 2-X planar manipulator. In 4th IFToMM Symposium on Mechanism Design for Robotics, septembre 2018, Udine, Italie. J. Pastor, J. Menaud. SeDuCe: a Testbed for Research on Thermal and Power Management in Datacenters. In SoftCom 2018 - 26th International Conference on Software, Telecommunications and Computer Networks, septembre 2018, Split, Croatie. A. Jiménez-Sánchez, S. Albarqouni, D. Mateus. Capsule Networks against Medical Imaging Data Challenges. In MICCAI Workshop LABELS (Large-Scale Annotation of Biomedical Data and Expert Label Synthesis), septembre 2018, Granada, Espagne. J. Pastor, J. Menaud. SeDuCe: a Testbed for Research on Thermal and Power Management in Datacenters. In GREEN 2018 - Third International Conference on Green Communications, Computing and Technologies, septembre 2018, Venise, Italie. C. El-Hajj, G. Collewet, M. Musse, S. Moussaoui. Fruit tissues classification from multi-exponential T2 maps. In 14th International Conference on the Applications of Magnetic Resonance in Food Science, septembre 2018, Rennes, France. S. Moussaoui. Optimized signal processing methods for NMR signal modeling and MRI data analysis for the estimation for relaxation time distributions. In 14th International Conference on the Applications of Magnetic Resonance in Food Science, septembre 2018, Rennes, France. T. Ajamian, S. Moussaoui, A. Dupret, C. Layer. A Novel Compressive Sampling Approach for Detecting Hard Defects in Complex Wire Networks. In 2018 IEEE AUTOTESTCON, septembre 2018, National Harbor, France. T. Ajamian, S. Moussaoui, A. Dupret. A Novel Compressive Sampling Approach for Detecting Hard Defects in Complex Wire Networks. In 2018 IEEE AUTOTESTCON, septembre 2018, National Harbor, états-Unis. D. Sferruzza, J. Rocheteau, C. Attiogbé, A. Lanoix. Extending OpenAPI 3.0 to Build Web Services from their Specification. In International Conference on Web Information Systems and Technologies, septembre 2018, Seville, Espagne. G. Madi Wamba, N. Beldiceanu. CP-based cloud workload annotation as a preprocessing for anomaly detection using deep neural networks. In ITISE 2018 - International Conference onTime Series and Forecasting, septembre 2018, Granada, Espagne. K. Maillard, �. Miquey, X. Montillet, G. Munch-Maccagnoni, G. Scherer. A preview of a tutorial on L (polarized μμ-tilde). In HOPE 2018 - 7th ACM SIGPLAN Workshop on Higher-Order Programming with Effects, septembre 2018, St. Louis, états-Unis. R. Mhenni, S. Bourguignon, J. Ninin, F. Schmidt. SPECTRAL UNMIXING WITH SPARSITY AND STRUCTURING CONSTRAINTS. In IEEE Whispers (2018) : 9th Workshop on Hyperspectral Image and Signal Processing, septembre 2018, Amsterdam, Pays-Bas. M. ABID, V. Renaudin, T. Robert, Y. Aoustin, E. Le Carpentier. A Simulation-based Approach to Generate Walking Gait Accelerations for Pedestrian Navigation Solutions. In 9th International Conference on Indoor Positioning and Indoor Navigation (IPIN 2018), septembre 2018, Nantes, France. V. Lostanlen, J. Andén, M. Lagrange. Extended playing techniques: The next milestone in musical instrument recognition. In 5th International Conference on Digital Libraries for Musicology, septembre 2018, Paris, France. C. Afri, B. Marinescu, G. Besancon, C. CARDOZO. Observability and observer design for dynamic security assessment in power systems. In 2018 IEEE PES Innovative Smart Grid Technologies Conference Europe (ISGT-Europe), octobre 2018, Sarajevo, Bosnie-Herzégovine. A. Moyon, K. Subrin, B. FURET. Acceptation criteria of a movable cobot for polishing activities in naval industries. In IEEE/RSJ International Conference on Intelligent Robots and Systems, octobre 2018, Madrid, Espagne. D. Pérez-Morales, O. Kermorgant, S. Domínguez-Quijada, P. Martinet. Multi-Sensor-Based Predictive Control for Autonomous Backward Perpendicular and Diagonal Parking. In 10th workshop on Planning, Perception and Navigation for Intelligent Vehicles at Int. Conf. on Intelligent Robots and Systems, octobre 2018, Madrid, Espagne. E. Picard, S. Caro, F. Claveau, F. Plestan. Pulleys and Force Sensors Influence on Payload Estimation of Cable-Driven Parallel Robots. In 2018 IEEE/RSJ International Conference on Intelligent Robots and Systems (IROS 2018), octobre 2018, Madrid, Espagne. F. Fusco, O. Kermorgant, P. Martinet. Constrained Path Planning using Quadratic Programming. In IROS 2018 - IEEE/RSJ International Conference on Intelligent Robots and Systems, octobre 2018, Madrid, Espagne. L. Contreras-Samamé, S. Domínguez-Quijada, O. Kermorgant, P. Martinet. CoMapping: Efficient 3D-Map Sharing Methodology for Decentralized cases. In 10th workshop on Planning, Perception and Navigation for Intelligent Vehicles at Int. Conf. on Intelligent Robots and Systems, octobre 2018, Madrid, Espagne. Q. Luo, V. De Leon Gomez, A. Kalouguine, C. Chevallereau, A. Yannick. Self-synchronization and Self-stabilization of Walking Gaits Modeled by the 3D LIP Model. In 2018 IEEE/RSJ International Conference on Intelligent Robots and Systems, octobre 2018, Madrid, Espagne. B. Nédelec, P. Molli, A. Mostefaoui. Breaking the Scalability Barrier of Causal Broadcast for Large and Dynamic Systems. In 37th IEEE International Symposium on Reliable Distributed Systems (SRDS), octobre 2018, Salvador de Bahia, Brésil. D. Schnebelen, O. Lappi, F. Mars. Gaze behavior as a function of vehicle automation and speed. In The Eye, The Brain & The Auto - 8th World Research Congress on Vision and Driving, octobre 2018, Detroit, états-Unis. A. Grall, H. Skaf-Molli, P. Molli. Querying RDF data in Networks of Web Browsers. In THE 17TH INTERNATIONAL SEMANTIC WEB CONFERENCE, octobre 2018, MONTEREY, états-Unis. A. Grall, H. Skaf-Molli, P. Molli. SPARQL Query Execution in Networks of Web Browsers. In THE 17TH INTERNATIONAL SEMANTIC WEB CONFERENCE, WORKSHOP ON DECENTRALIZING THE SEMANTIC WEB, octobre 2018, Monterey, états-Unis. S. Benavent, P. Rosado, L. Solano, N. Guarino, E. Sanfilippo. How to Restructure PPDRC and MIRC According to DOLCE. In International Conference on Changeable, Agile, Reconfigurable and Virtual Production, octobre 2018, Nantes, France. Z. Wang, C. Da Cunha, M. Ritou, B. Furet. Comparison of K-means and GMM methods for contextual clustering in HSM. In International Conference on Changeable, Agile, Reconfigurable and Virtual Productio, octobre 2018, Nantes, France. T. Béziers la Fosse, J. Mottu, M. Tisi, G. Sunyé. Characterizing a Source Code Model with Energy Measurements. In Workshop on Measurement and Metrics for Green and Sustainable Software Systems (MeGSuS), octobre 2018, Oulu, Finlande. J. Attiogbe. Building Correct SDN Components from a Global Event-B Formal Model. In Formal Aspects of Component Software, octobre 2018, Pohang, Chine. K. Boukir, J. Béchennec, A. Déplanche. Formal approach for a verified implementation of Global EDF in Trampoline. In the 26th International Conference, octobre 2018, Chasseneuil-du-Poitou, France. A. Dolgui. Gestion des réapprovisionnements en composants pour les systèmes d'assemblage sous incertitudes des délais de livraison. In Seminaire invité FORAC et CIRRELT, Université Laval, octobre 2018, Québec, Canada. A. Ferdjoukh, J. Mottu. Towards an Automated Fault Localizer while Designing Meta-models. In MDEbug 2018, octobre 2018, Copenhagen, Danemark. H. Bruneliere, E. Burger, J. Cabot, M. Wimmer. A Feature-based Survey of Model View Approaches. In ACM/IEEE 21th International Conference on Model Driven Engineering Languages and Systems (MODELS ’18), octobre 2018, Copenhagen, Danemark. H. Bruneliere, F. Marchand de Kerchove, G. Daniel, J. Cabot. Towards Scalable Model Views on Heterogeneous Model Resources. In ACM/IEEE 21th International Conference on Model Driven Engineering Languages and Systems (MODELS ’18), octobre 2018, Copenhagen, Danemark. A. Dolgui. Replenishment planning for assembly to order systems under uncertainty of component lead times (invited plenary keynote talk). In The 16th Int. Logistics and Supply Chain Congress (LMSCM 2018), octobre 2018, Denizli, Turquie. A. Barkat, B. Marinescu, C. Join, M. Fliess. Model-free control for VSC-based HVDC systems. In 8th IEEE PES Innovative Smart Grid Technologies Conference, ISGT Europe 2018, octobre 2018, Sarajevo, Bosnie-Herzégovine. B. Moreau, P. Serrano-Alvarado, E. Desmontils. CaLi: A Lattice-Based Model for License Classifications. In 34ème Conférence sur la Gestion de Données – Principes, Technologies et Applications (BDA 2018), octobre 2018, Bucarest, Roumanie. N. Laroche, E. Carcreff, S. Bourguignon, J. Idier, A. Duclos. An Inverse Approach for Ultrasonic Imaging by Total Focusing Point for Close Reflectors Separation. In 2018 IEEE International Ultrasonics Symposium (IUS), octobre 2018, Kobe, Japon. P. Andre, C. Attiogbé, A. Lanoix. Systematic Construction of Critical Embedded Systems Using Event-B. In New Trends in Model and Data Engineering - MEDI 2018 Workshops: DETECT, MEDI4SG, IWCFS, REMEDY, octobre 2018, Marrakesh, Maroc. S. Aouadi, A. Lanoix. Reliability in Fully Probabilistic Event-B: How to Bound the Enabling of Events. In New Trends in Model and Data Engineering - MEDI 2018 Workshops: DETECT, MEDI4SG, IWCFS, REMEDY, octobre 2018, Marrakesh, Maroc. H. El Ghor, M. Chetto, R. El Osta. Multiprocessor Real-Time Scheduling for WirelessSensors Powered by Renewable Energy Sources. In 15th ACS/IEEE International Conference on Computer Systems and Applications (AICCSA 2018), octobre 2018, Aqaba, Jordanie. N. Cambier, V. Frémont, V. Trianni, E. Ferrante. Embodied Evolution of Self-Organised Aggregation by Cultural Propagation. In 11th International Conference on Swarm Intelligence (ANTS 2018), octobre 2018, Rome, Italie. E. Capellier, F. Davoine, V. Frémont, J. Ibañez-Guzmán, Y. Li. Evidential grid mapping, from asynchronous LIDAR scans and RGB images, for autonomous driving. In 21st IEEE International Conference on Intelligent Transportation Systems (ITSC 2018), novembre 2018, Maui, Hawaii, états-Unis. Y. Emzivat, J. Ibañez-Guzmán, H. Illy, P. Martinet, O. Roux. A Formal Approach for the Design of a Dependable Perception System for Autonomous Vehicles. In ITSC 2018 - 21st IEEE International Conference on Intelligent Transportation Systems, novembre 2018, Maui, états-Unis. L. Granvilliers. A New Interval Contractor Based on Optimality Conditions for Bound Constrained Global Optimization. In 2018 IEEE 30th International Conference on Tools with Artificial Intelligence (ICTAI), novembre 2018, Volos, France. A. Dolgui. Replenishment planning for assembly to order systems under uncertainty of component lead times. In Invited Seminar, Bandung Institute of Technology, novembre 2018, Bandung, Indonésie. A. Filali, V. Ricordel, N. Normand. Tree-Structured Point-Lattice Vector Quantization for 3-D Point Cloud Geometry Compression. In CORESA, novembre 2018, Poitiers, France. P. François. La Foire Saint-Germain vers 1770 : images et mutations des lieux de spectacle. In Permanences et mutations des espaces du spectacle vivant dans la ville (de 1750 à nos jours), novembre 2018, Bordeaux, France. A. Khalifa, O. Kermorgant, S. Dominguez, P. Martinet. Vehicles Platooning in Urban Environment: Consensus-based Longitudinal Control with Limited Communications Capabilities. In International Conference on Control, Automation, Robotics and Vision, novembre 2018, Singapore, Singapour. A. Loukkal, V. Frémont, Y. Grandvalet, Y. Li. Improving semantic segmentation in urban scenes with a cartographic information. In The 15th International Conference on Control, Automation, Robotics and Vision (ICARCV 2018), novembre 2018, Singapore, Singapour. D. Pérez-Morales, O. Kermorgant, S. Domínguez-Quijada, P. Martinet. Automatic Perpendicular and Diagonal Unparking Using a Multi-Sensor-Based Control Approach. In ICARCV 2018 - The 15 th International Conference on Control, Automation, Robotics and Vision, novembre 2018, Singapore, Singapour. L. Contreras-Samamé, S. Domínguez-Quijada, O. Kermorgant, P. Martinet. CoMapping: Multi-robot Sharing and Generation of 3D-Maps applied to rural and urban scenarios. In International Conference on Control, Automation, Robotics and Vision, novembre 2018, Singapore, Singapour. A. Klimchik, D. Chablat, A. Pashkevich. Variable Actuation Modes in Parallel Manipulators: Impact on the Stiffness Behavior. In Proceedings of the 23rd Conference of Open Innovations Association FRUCT, novembre 2018, moscow, Russie. F. Gontier, P. Aumond, M. Lagrange, C. Lavandier, J. Petiot. Towards perceptual soundscape characterization using event detection algorithms.. In Workshop on Detection and Classification of Acoustic Scenes and Events (DCASE 2018), novembre 2018, Surrey, Royaume-Uni. A. Saadi, M. Oussalah, y. hamal, a. henni. An approach for the dynamic reconfiguration of software architecture. In IEEE International Conference on Applied Smart Systems, novembre 2018, Medea, Maroc. A. Dolgui. Replenishment planning in supply chains under uncertainties (invited keynote plenary talk). In The 48th International Conference on Computers & Industrial Engineering (CIE48), décembre 2018, Auckland, Nouvelle-Zélande. A. Dolgui. Invited presentation of International Journal of Production Research. In The 19th Asia Pacific Conference on Industrial Engineering and Management Systems (APIEMS 2018), Hong Kong, 5-8 December 2018, décembre 2018, Hong Kong, Chine. C. Chevallereau, V. de-León-Gómez, A. Kalouguine, Q. Luo, A. Yannick. An essential model for generating walking motions for humanoid robots. In French-German Conference on Humanoid and Legged Robots 2018, décembre 2018, Munchen, Allemagne. P. François, F. Laroche, F. Rubellin. De la donnée à ses artefacts : projet VESPACE. In EADH 2018: Data in Digital Humanities, décembre 2018, Galway, Irlande. B. Confais, A. Lebre, B. Parrein. A Tree-Based Approach to locate Object Replicas in a Fog Storage Infrastructure. In GLOBECOM 2018 - IEEE Global Communications Conference, décembre 2018, Abu Dhabi, émirats arabes unis. E. Bourdy, K. Piamrat, M. Herbin, H. Fouchal. New Method for Exemplar Selection and Application to VANET Experimentation. In GLOBECOM 2018 - 2018 IEEE Global Communications Conference, décembre 2018, Abu Dhabi, émirats arabes unis. J. Rojas Balderrama, M. Simonin. Scalability and Locality Awareness of Remote Procedure Calls: An Experimental Study in Edge Infrastructures. In CloudCom 2018 - 10th IEEE International Conference on Cloud Computing Technology and Science, décembre 2018, Nicosia, Chypre. M. Bazm, M. Lacoste, M. Südholt, J. Menaud. Secure Distributed Computing on Untrusted Fog Infrastructures Using Trusted Linux Containers. In CloudCom 2018 - 10th IEEE International Conference on Cloud Computing Technology and Science, décembre 2018, Nicosia, Chypre. M. Chardet. Combining Separation of Concerns and Performance in Distributed Software Reconfiguration. In Doctoral symposium @ Middleware 2018 - ACM/IFIP International Middleware Conference, décembre 2018, Rennes, France. I. Raïs, H. Coullon, L. Lefèvre, C. Pérez. Automatic Energy Efficient HPC Programming: A Case Study. In ISPA 2018 - 16th IEEE International Symposium on Parallel and Distributed Processing with Applications, décembre 2018, Melbourne, Australie. B. Nédelec, P. Molli, A. Mostefaoui. Causal Broadcast: How to Forget?. In The 22nd International Conference on Principles of Distributed Systems (OPODIS), décembre 2018, Hong Kong, Chine. C. Boultifat, P. Chevrel, J. Lohéac, M. Yagoubi. A parametrized reduced order model of 1D acoustic propagation system for robust spatial multi-point active noise attenuation. In 57th IEEE Conference on Decision and Control, CDC 2018, décembre 2018, Miami Beach, FL, états-Unis. J. Mohanta, S. Mohan, P. Wenger, C. Chevallereau. A New Sitting-type Lower-Limb Rehabilitation Robot based on a Spatial Parallel Kinematic Machine. In IFToMM Asian Mechanism and Machine Science 2018, décembre 2018, Bengaluru, Inde. M. Primot, E. Tahoumi, X. Yan, F. Plestan. Determination of the Convergence Domain of the Twisting Algorithm thanks to a Switching Gain Approach. In IEEE Conference on Decision and Control (CDC), décembre 2018, Miami, états-Unis. M. Yagoubi, T. Nguyen. Nonlinear Static Output Feedback Control for Human Heart Rate during Treadmill Exercise. In 57th IEEE Conference on Decision and Control, décembre 2018, Miami Beach, FL, états-Unis. Y. Xia, X. Etchevers, L. Letondeur, A. Lebre, T. Coupaye, F. Desprez. Combining Heuristics to Optimize and Scale the Placement of IoT Applications in the Fog. In UCC 2018 - 11th IEEE/ACM Conference on Utility and Cloud Computing, décembre 2018, Zurich, Suisse. L. Jezequel, T. Chatain, M. Comlan, D. Delfieu, O. Roux. Pomsets and Unfolding of Reset Petri Nets. In 12th International Conference on Language and Automata Theory and Applications (LATA 2018), avril 2018, Ramat Gan, Israël.In Shmuel Tomi Klein (éds.), . Springer, 2018. �. Miquey, H. Herbelin. Realizability Interpretation and Normalization of Typed Call-by-Need λ-calculus With Control. In FOSSACS 18 - 21st International Conference on Foundations of Software Science and Computation Structures, avril 2018, Thessalonique, Grèce.In Christel Baier (éds.), . Springer, 2018. H. Al Hasan, C. Guéret, D. Lemoine, D. Rivreau. A MILP formulation for an operating room scheduling problem under sterilizing activities constraints. In 16th International Conference on Project Management and Scheduling (PMS), avril 2018, Rome, Italie.In University of Rome "Tor Vergata" Dipartimento di Ingegneria dell'Impresa Via del Politecnico, 1 00133 Roma - Italy (éds.), . , 2018. N. Keddari, N. Mebarki, A. Shahzad, Z. Sari. Solving an Integration Process Planning and Scheduling in a Flexible Job Shop Using a Hybrid Approach. In 6th IFIP International Conference on Computational Intelligence and Its Applications (CIIA), mai 2018, Oran, Algérie.In Abdelmalek Amine (éds.), . Springer International Publishing, 2018. M. El Amin Tebib, P. Andre, O. Cardin. A Model Driven Approach for Automated Generation of Service-Oriented Holonic Manufacturing Systems. In SOHOMA 2018 - International Workshop on Service Orientation in Holonic and Multi-Agent Manufacturing, juin 2018, Bergamo, Italie.In Theodor Borangiu, Damien Trentesaux, André Thomas, Sergio Cavalieri (éds.), . Springer, 2018. P. Lucidarme, N. Delanoue, F. Mercier, Y. Aoustin, C. Chevallereau, P. Wenger. Preliminary survey of backdrivable linear actuators for humanoid robots. In 22nd CISM IFToMM Symposium on Robot Design, Dynamics and Control (ROMANSY'2018), juin 2018, Rennes, France.In Vigen Arakelian, Philippe Wenger (éds.), . Springer, 2018. E. Sanfilippo, S. Benavent, S. Borgo, N. Guarino, N. Troquard, F. Romero, P. Rosado, L. Solano, F. Belkadi, A. Bernard. Modeling Manufacturing Resources: An Ontological Approach. In 15th IFIP International Conference on Product Lifecycle Management (PLM), juillet 2018, Turin, Italie.In Paolo Chiabert (éds.), . Springer International Publishing, 2018. P. Vial. Every λ-Term is Meaningful for the Infinitary Relational Model. In LICS 2018 - Thirty-Third Annual ACM/IEEE Symposium on Logic in Computer Science, juillet 2018, Oxford, Royaume-Uni.In Anuj Dawar, Erich Grädel (éds.), . ACM, 2018. M. Furet, A. Van Riesen, C. Chevallereau, P. Wenger. Optimal design of tensegrity mechanisms used in a bird neck model. In European Conference on Mechanism Science (EUCOMES'2018), septembre 2018, Aachen, Allemagne.In Burkhard Corves, Philippe Wenger, Mathias Hüsing (éds.), . Springer, 2018. D. Deuff, I. Milleville-Pennel, I. Ocnarescu. Vivre ensemble avec les machines sociales Une approche pluridisciplinaire pour questionner, modéliser et proposer une nouvelle écologie pour les jeunes retraités. In 30eme conférence francophone sur l'interaction homme-machine, octobre 2018, Brest, France.In AFIHM (éds.), . , 2018. A. Rodrigues Oliveira, G. Jean, G. Fertin, U. Dias, Z. Dias. Super Short Reversals on Both Gene Order and Intergenic Sizes. In Advances in Bioinformatics and Computational Biology - 11th Brazilian Symposium on Bioinformatics -- BSB 2018, octobre 2018, Niteroi, Brésil.In Springer (éds.), . , 2018. B. Jaillais, K. Meghar, L. Nus, S. Miron, D. Brie, S. Moussaoui. Unsupervised processing of hyperspectral images. In CHIMIOMETRIE XIX, janvier 2018, Paris, France. A. Pirogov, E. Gurevsky, A. Rossi, A. Dolgui. Enhanced MILP approach for maximizing the robustness of paced transfer lines with uncertain parallel tasks and fixed number of machines. In 19th Congress of the French Society of Operations Research and Decision Aid (ROADEF 2018), février 2018, Lorient, France. H. Al Hasan, C. Guéret, D. Lemoine, D. Rivreau. Dynamic Surgical Case Scheduling with sterilizing activities constraints: A rolling horizon approach. In Roadef 2018, février 2018, Lorient, France. B. Confais, A. Lebre, B. Parrein. Improving locality of an object store working in a Fog environment. In 1st Grid’5000-FIT school, avril 2018, Nice, France. J. GLOAGUEN, A. Can, M. LAGRANGE, J. PETIOT. Estimation du niveau sonore du trafic routier au sein de mixtures sonores urbaines par la Factorisation en Matrices Non négatives. In 14ème congrès français d'acoustique, CFA'18, avril 2018, LE HAVRE, France. O. Cardin, W. Derigent, D. Trentesaux. Contribution des architectures de contrôle holoniques à l’industrie 4.0. In 12th International Conference on Modelling, Optimization and Simulation, MOSIM'18, juin 2018, Toulouse, France. E. Cadorel, H. Coullon, J. Menaud. Ordonnancement multi-objectifs de workflows dans un Cloud privé. In ComPAS 2018 - Conférence d’informatique en Parallélisme, Architecture et Système, juillet 2018, Toulouse, France. M. Chardet, H. Coullon, C. Pérez. Interfaces comportementales pour la reconfiguration de modèles à composants. In Compas 2018 - Conférence d’informatique en Parallélisme, Architecture et Système, juillet 2018, Toulouse, France. Y. Wang, D. Nörtershäuser, S. Masson, J. Menaud. Etude de l'influence de la température du processeur sur la consommation des serveurs. In ComPAS 2018 - Conférence d'informatique en Parallélisme, Architecture et Système, juillet 2018, Toulouse, France. M. ABID, V. Renaudin, T. Robert, Y. AOUSTIN, E. LE CARPENTIER. A Simulation-based Approach to Generate Walking Gait Accelerations for Pedestrian Navigation Solutions. In 2018 International Conference on Indoor Positioning and Indoor Navigation, septembre 2018, Nantes, France. X. Delorme, A. Dolgui. Conception de systèmes de production reconfigurables/flexibles. In Colloque systèmes de production du futur, octobre 2018, Paris, France. B. Pano, P. Chevrel, F. Claveau, F. Mars. Une assistance anticipatrice et compensatrice pour la commande haptique partagée de la direction d’un véhicule. In 3ème Journées de l'Automatique du GdR MACS, novembre 2018, Nantes, France. P. Loiseau, F. Mars, F. Claveau, P. Chevrel, S. Espie. Analyse de l’interaction pilote/moto lors de la prise de virage. In 3ème Journées de l'Automatique du GdR MACS, novembre 2018, Nantes, France. Y. Zhao, P. Chevrel, F. Claveau, F. Mars. Driver model parameter identification to estimate driver adaptation over time. In 3ème Journées de l'Automatique du GdR MACS, novembre 2018, Nantes, France. A. KOUADRI-HENNI, E. Amro. Joining of Polymer-Metal Lightweight Structures Using Self-Piercing Riveting (SPR) Technique: Simulation Results and Experimental Testing. In materiaux2018, novembre 2018, Strasbourg, France. G. Gamelin, A. Chellali, C. Dumas, S. Otmane. Fidélité de l'avatar du partenaire distant dans un environnement virtuel immersif : effets sur les interactions spatiales. In 30eme conférence francophone sur l'interaction homme-machine, octobre 2018, Brest, France.In AFIHM (éds.), . , 2018. A. Ketfi-Cherif, D. Chablat, P. Wenger, M. GHANES. Système et procédé de branchement d’un organe de connexion à un organe de connexion complémentaire porté par un véhicule automobile. N° brevet : 1852014. D. Chablat, P. Yvain. Robot de soudage. N° brevet : 1856274. S. Puri, S. Lasserre, P. Le Callet. Encoding and decoding method and corresponding devices. N° brevet : 15774992. K. Naser, V. Ricordel, P. Le Callet. Method for encoding video frames based on local texture synthesis and corresponding device. N° brevet : 15757951. B. Corves, P. Wenger, M. Hüsing. EuCoMeS 2018: Proceedings of the 7th European Conference on Mechanism Science. In 7th European Conference on Mechanism Science, , , France. P. Wenger. Advances on Theory and Practice of Robot Manipulators. In Romansy 22, juin 2018, Rennes, France. T. Borangiu, D. Trentesaux, A. Thomas, O. Cardin. Service Orientation in Holonic and Multi-Agent Manufacturing. In Service Orientation in Holonic and Multi-agent Manufacturing, SOHOMA’17, octobre 2017, Nantes, France. A. Abdelkrim, M. Oussalah. Software Architecture for Emerging Systems. In International Journal of Computer Applications in Technology ; éd. Inderscience, 2018. 2018 France. A. Rollet, A. Lanoix. Actes des 17èmes journées sur les Approches Formelles dans l’Assistance au Développement de Logiciels. In 17èmes journées sur les Approches Formelles dans l’Assistance au Développement de Logiciels, juin 2018, Grenoble, France. T. Ledoux. Reconfiguration dynamique d’architectures logicielles : des métaclasses aux « nuages verts ». C. Hartmann. Automatisation de la synthèse d’architectures appliquée aux aéronefs à voilure tournante. Thèses : École centrale de Nantes. L. Lemazurier. Conception d’un système avancé de réacteur PWR flexible par les apports conjoints de l’ingénierie système et de l’automatique. Thèses : Ecole nationale supérieure Mines-Télécom Atlantique. I. Guenoune. Commandes non linéaires robustes de systèmes éoliens. Thèses : École centrale de Nantes, Université Abou Bekr Belkaid (Tlemcen, Algérie), . P. Liu. Statistical and numerical optimization for speckle blind structured illumination microscopy. Thèses : École centrale de Nantes. B. Khomutenko. Contribution to wide angle visual perception for mobile robots and self driving cars. Thèses : École centrale de Nantes. M. Quantin. Proposition de chaînage des connaissances historiques et patrimoniales. Approche multi-échelles et multi-critères de corpus textuels. Thèses : Ecole Centrale de Nantes (ECN). T. Ngo. A PLM based approach for supporting collaboration and knowledge management in the medical domain : Application to the treatment process requiring prosthesis implantation. Thèses : École centrale de Nantes. J. GAO. Optimal motion planning in redundant robotic systems for automated composite lay-up process. Thèses : Ecole Centale de Nantes. J. Gao. Optimal motion planning in redundant robotic systems for automated composite lay-up process. Thèses : École centrale de Nantes. M. Tomic. Dual-arm robotic manipulation inspired by human skills. Thèses : École centrale de Nantes, Univerzitet u Beogradu, . B. Confais. Conception d'un système de partage de données adapté à un environnement de Fog Computing. Thèses : Université de Nantes. D. Sferruzza. Plateforme extensible de modélisation et de construction d'applications web correctes et évolutives, avec hypothèse de variabilité. Thèses : Université de Nantes. A. Hassan. Style and Meta-Style : Another way to reuse Software Architecture Evolution. Thèses : Universite de Nantes. E. Arafailova. Functional description of sequence constraints and synthesis of combinatorial objects. Thèses : Ecole nationale supérieure Mines-Télécom Atlantique. M. Maddah. 3D visualization and interactive image manipulation for surgical planning in robot-assisted surgery. Thèses : Ecole nationale supérieure Mines-Télécom Atlantique, Wright state university (Dayton, Ohio), . T. Wang. Parallel machine scheduling with precedence constraints. Thèses : École centrale de Nantes. T. Benkhelif. Publication de données individuelles respectueuse de la vie privée : une démarche fondée sur le co-clustering. Thèses : Université de Nantes. S. Boulier. Extending type theory with syntactic models. Thèses : Ecole nationale supérieure Mines-Télécom Atlantique. J. Chang. The Risk Assessment of Work-related Musculoskeletal Disorders based on OpenSim. Thèses : Ecole centrale de Nantes. J. Fradin. Complex graphs in biology : problems, algorithms and evaluation. 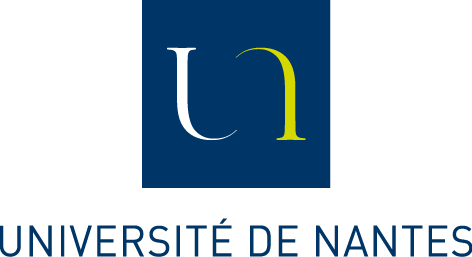 Thèses : Université de Nantes, Faculté des sciences et des techniques, Ecole Doctorale MATHSTIC, . A. Nayak. Kinematic analysis of reconfigurable parallel manipulators. Thèses : École centrale de Nantes. M. Abderrahim. Conception d’un système de supervision programmable et reconfigurable pour une infrastructure informatique et réseau répartie. Thèses : Ecole nationale supérieure Mines-Télécom Atlantique. T. Nguyen, J. Idier, C. Soussen, E. Djermoune. Non-negative orthogonal greedy algorithms for sparse reconstruction. R. Cherrueau, M. Simonin, A. Van Kempen. EnosStack: A LAMP-like stack for the experimenter. Rapport technique, 2018 ; INRIA Rennes - Bretagne Atlantique. W. Benghabrit, H. Grall, J. Royer, A. Santana De Oliveira. The Abstract Accountability Language: its Syntax, Semantics and Tools. Rapport technique, 2018 ; IMT Atlantique. E. Arafailova, N. Beldiceanu, R. Douence, M. Carlsson, P. Flener, J. Pearson, M. Francisco Rodríguez, H. Simonis. Global Constraint Catalog, Volume II, Time-Series Constraints. Rapport technique, 2018 ; IMT Atlantique. M. Abderrahim, M. Ouzzif, K. Guillouard, J. François, X. Lorca, C. Prud'Homme, A. Lebre. A Framework for Edge Infrastructures Monitoring. Rapport technique, 2018 ; Orange Labs, Inria Nancy - Grand Est, IMT-Atlantique. T. Nguyen, A. Lebre. Conducting Thousands of Experiments to Analyze VMs, Dockers and Nested Dockers Boot Time. Rapport technique, 2018 ; INRIA. C. Barillot, I. Fijalkow, I. Queinnec, F. Theoleyre, H. Touzet, M. Beaudouin-Lafon, M. Cani, F. Chaumette, G. Conreur, V. Cortier, C. Gavoille, G. Gogniat, J. Gossa, A. Herzig, J. Krivine, P. Lamarre, F. Lamnabhi-Lagarrigue, A. Letournel, L. Seinturier, I. Tellier, S. Torres, C. Truchet, A. Tsoukias, M. Verleysen. Rapport de Prospective du Conseil Scientifique de l’Institut des Sciences de l’Information et leurs Interactions (INS2I). Rapport technique, 2018 ; CNRS. S. Mustaki. Multi-Objective and Multi-Scenarios Control Methodology: Application to Car Lateral Control Synthesis. In Journée des doctorants du site nantais de l'école doctorale MathSTIC, mai 2018, Nantes, France. M. Kouki, J. Launay, D. Couedel, O. Cardin, P. Castagna, N. Allanic, M. Yannick, C. Plot. Modélisation multi-échelle de la Performance Energétique des Systèmes de Production. In SFT 2018, mai 2018, pau, France. M. Millardet, S. Moussaoui, D. Mateus, J. Idier, T. Carlier. Étude comparative d'AML, NEGML et OSEM sur des données 90Y-TEP expérimentales et cliniques en utilisant CASToR. In Journées du Cancéropôle Grand Ouest, juillet 2018, Vannes, France. S. Venkateswaran, D. Chablat, F. Boyer. Un robot bio-inspiré pour l'inspection de la canalisation. In ReV Réunion- LS2N, septembre 2018, Nantes, France. P. François, F. Laroche, J. Leichman, F. Rubellin. Mettre en place les fondations d'un outil de restitution à large audience : VESPACE. In 8e séminaire de Conception Architecturale Numérique SCAN18, octobre 2018, Nantes, France. R. El Osta, M. Chetto, H. El Ghor. An optimal approach for minimizing aperiodic response times in Real-time Energy Harvesting Systems. In 15th ACS/IEEE International Conference on Computer Systems and Applications (AICCSA 2018), octobre 2018, Aqaba, France. M. Millardet, S. Moussaoui, D. Mateus, J. Idier, M. Conti, T. Carlier. A comparative study of AML, NEGML and OSEM based on experimental and clinical 90Y-PET data using the CASToR platform. In Medical Imaging Conference, novembre 2018, Sydney, Australie. M. Millardet, S. Moussaoui, D. Mateus, J. Idier, T. Carlier. Local-mean preserving post-processing for non-negativity enforcement in 90Y-PET imaging. In Medical Imaging Conference, novembre 2018, Sydney, Australie.